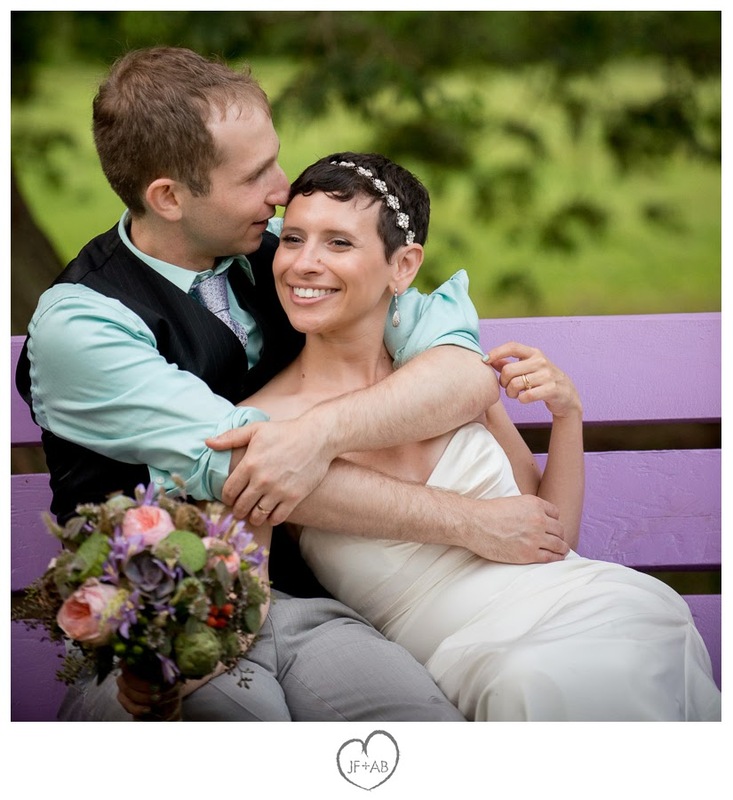 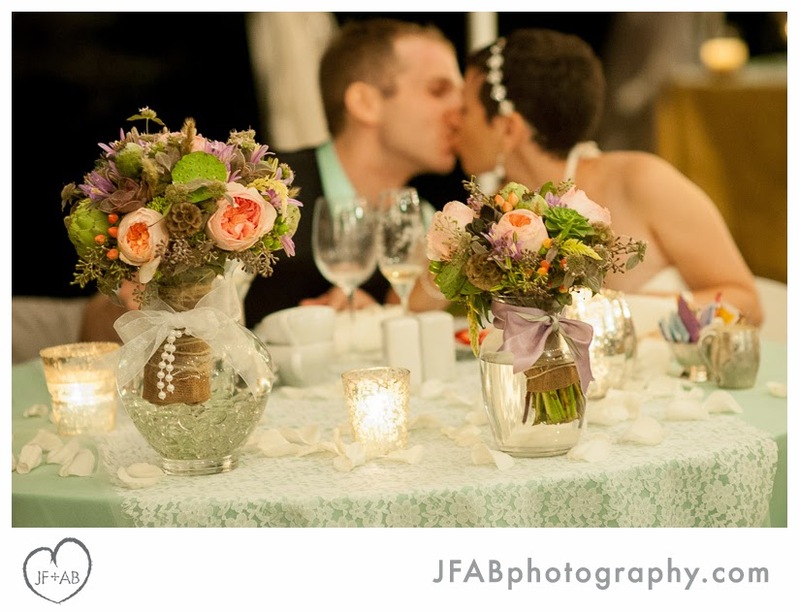 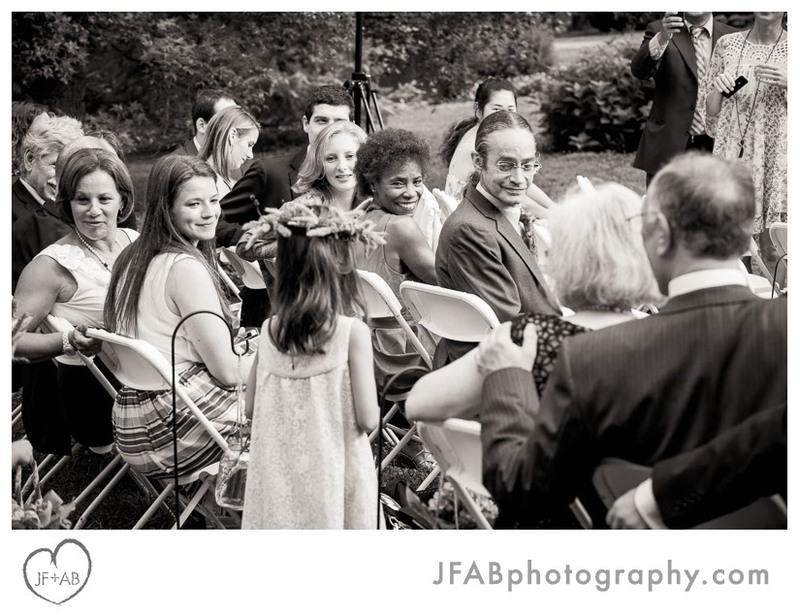 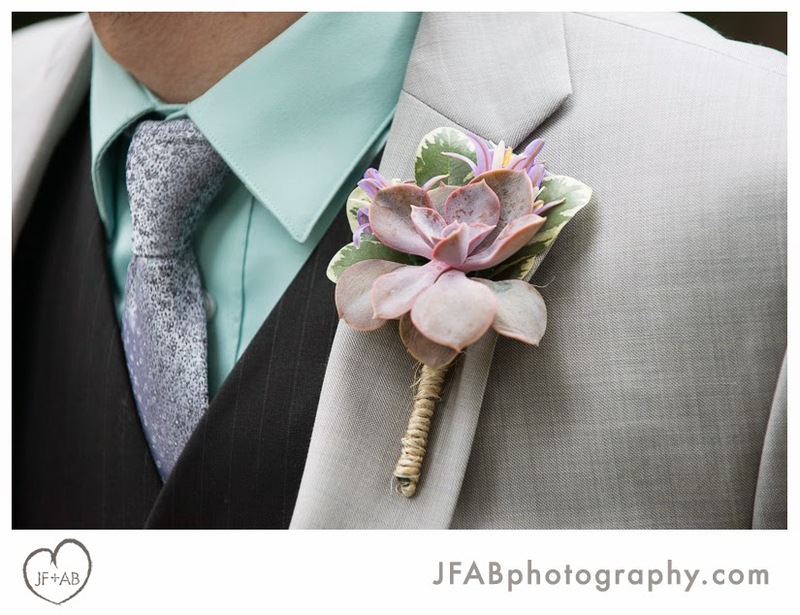 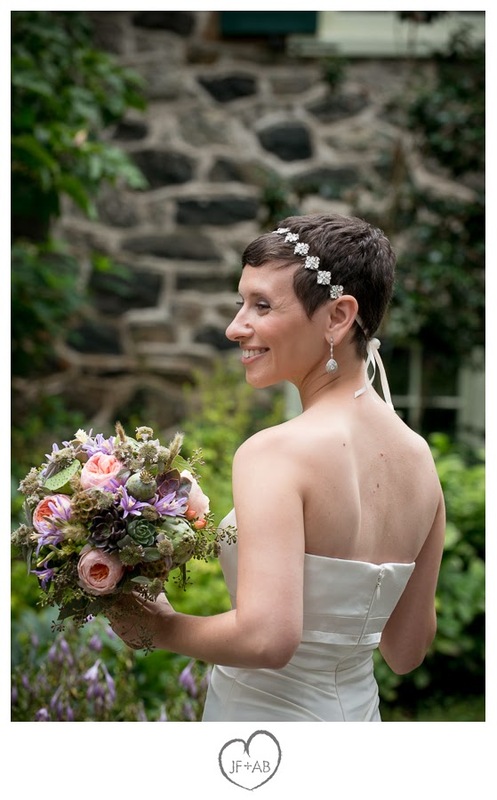 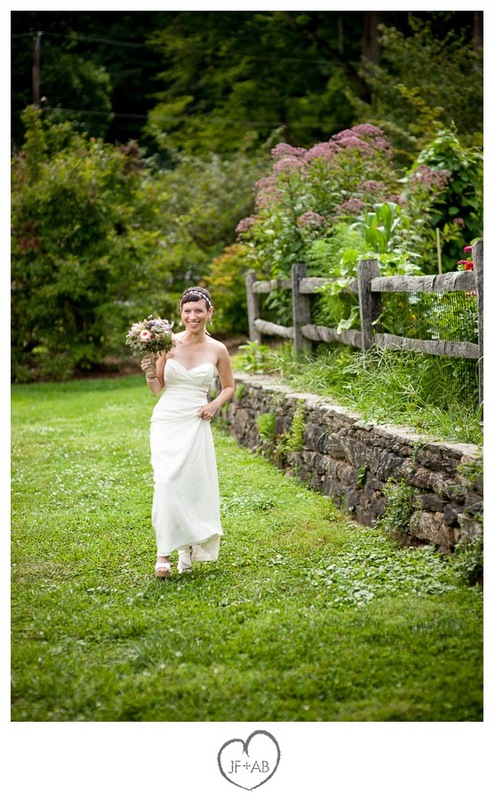 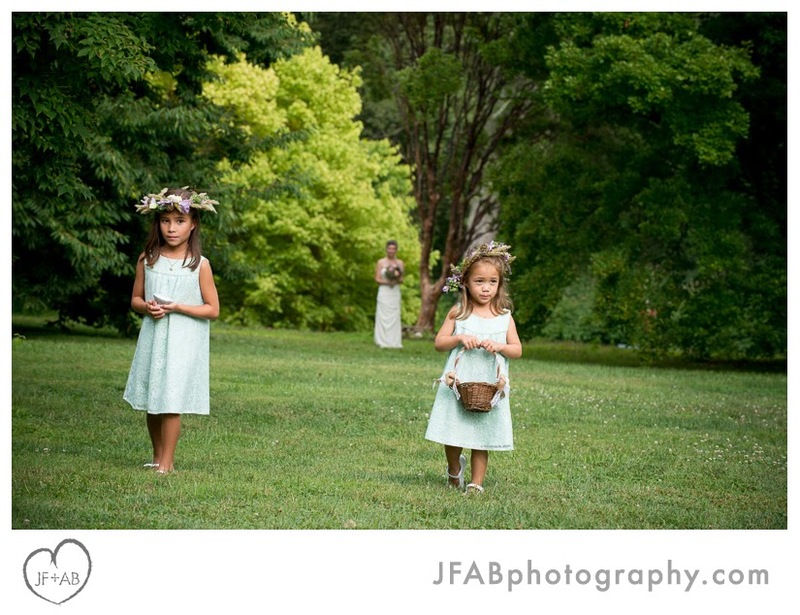 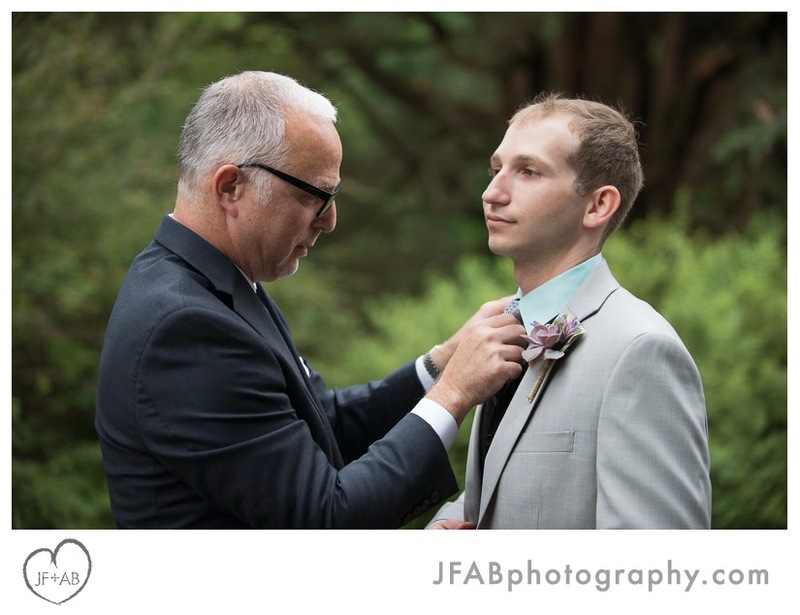 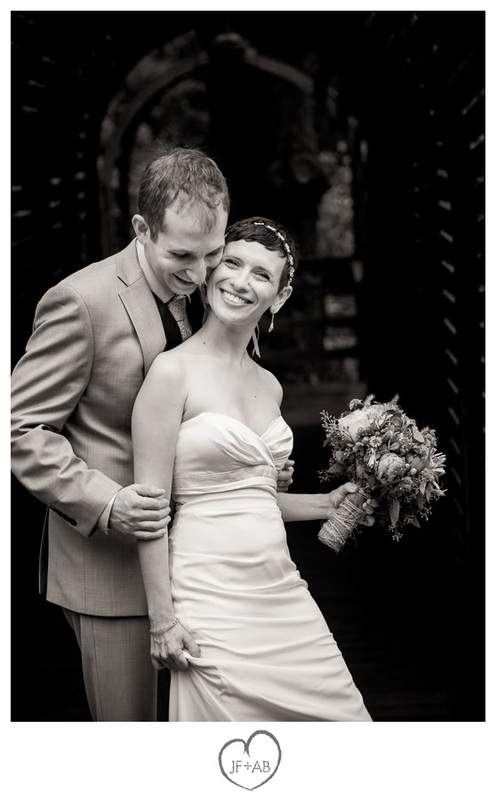 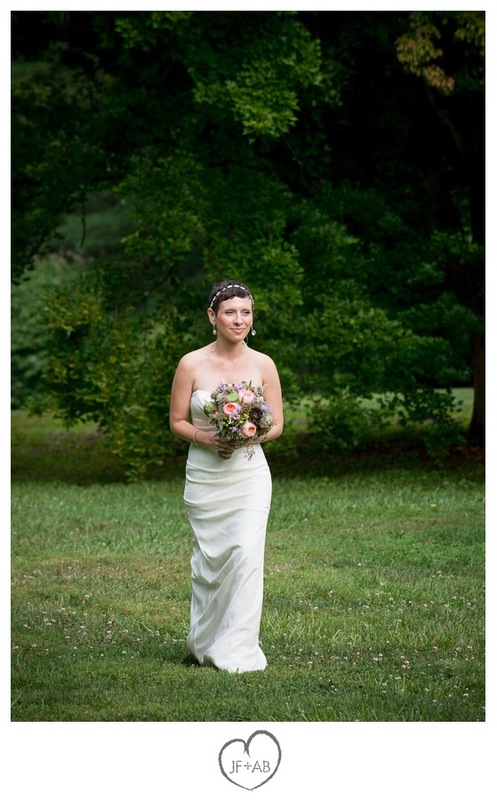 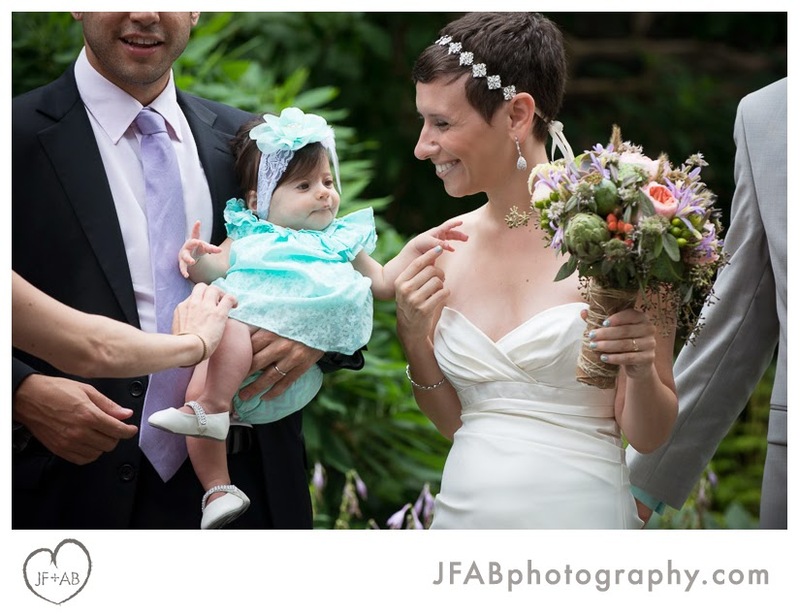 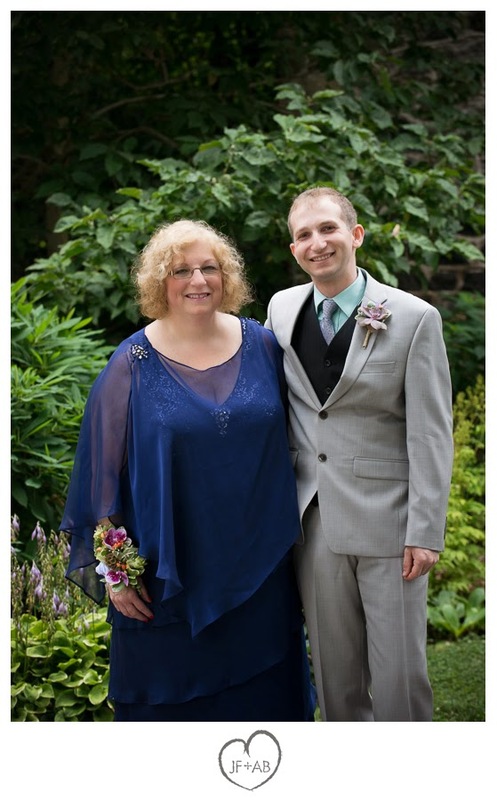 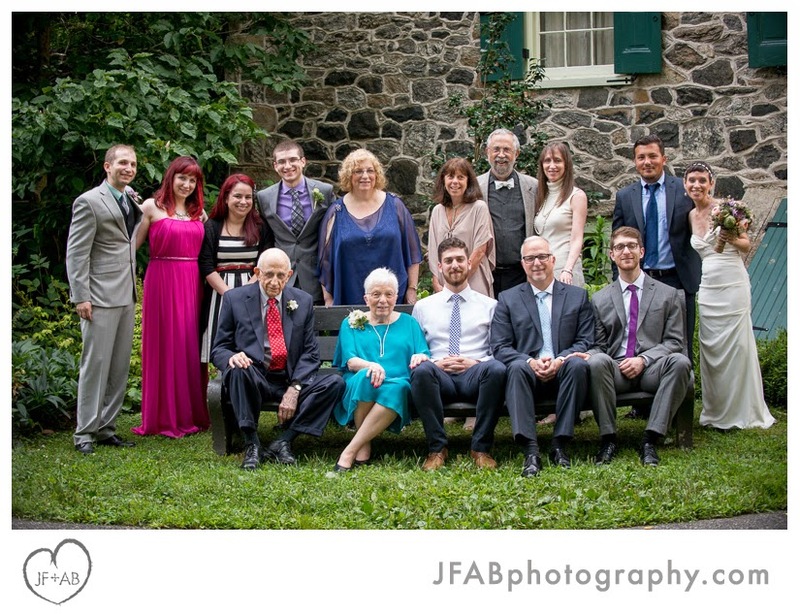 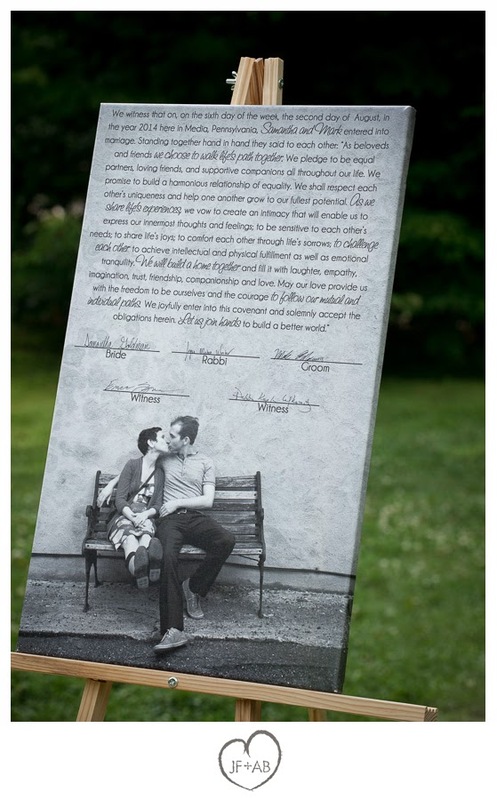 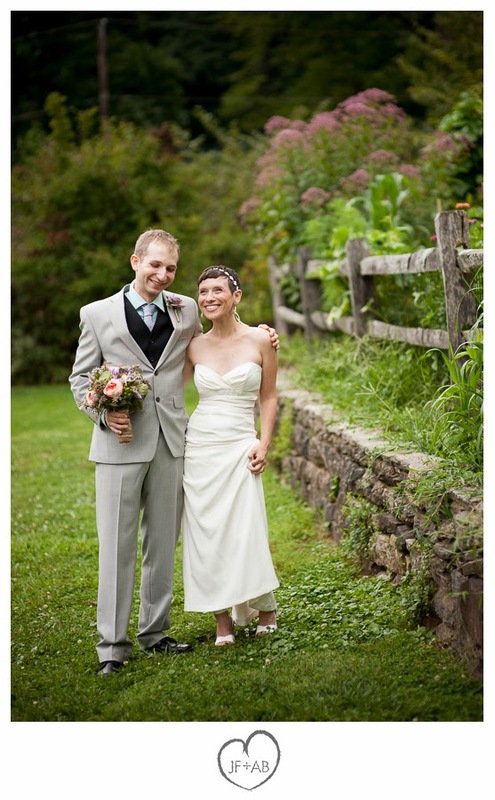 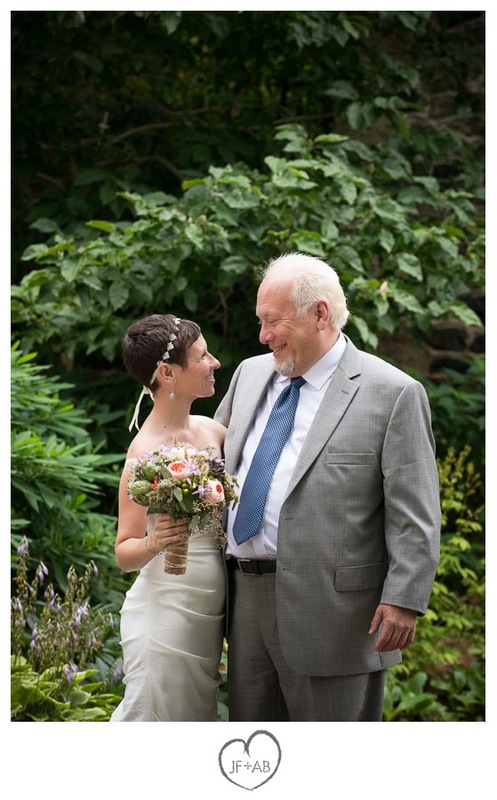 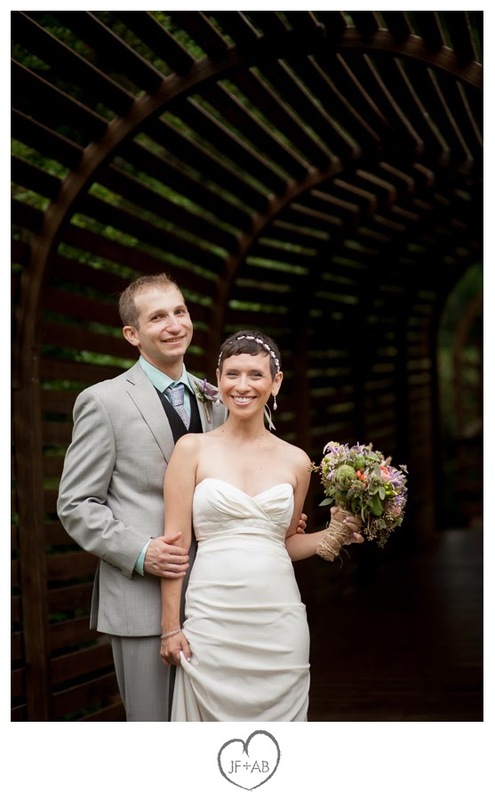 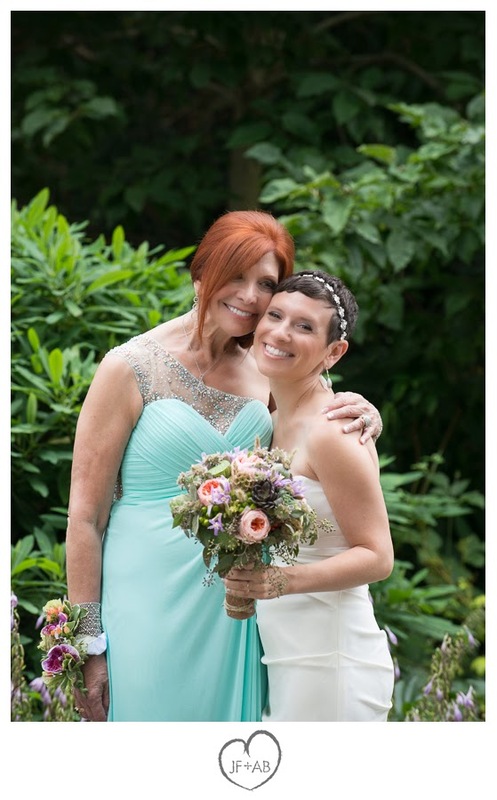 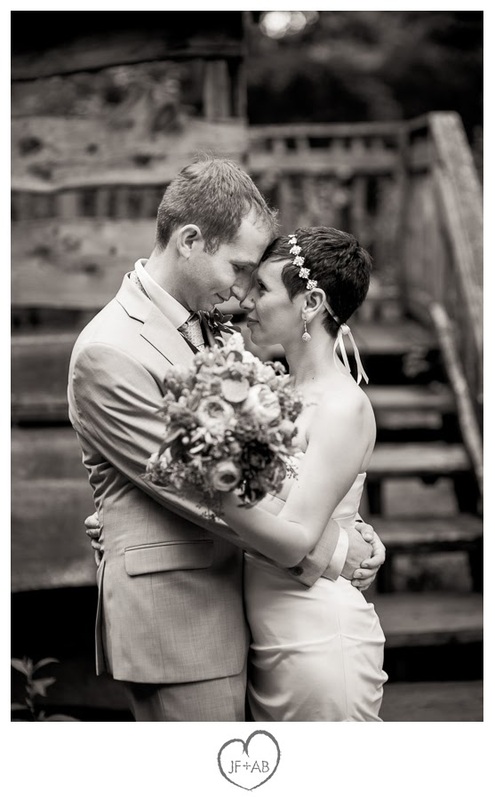 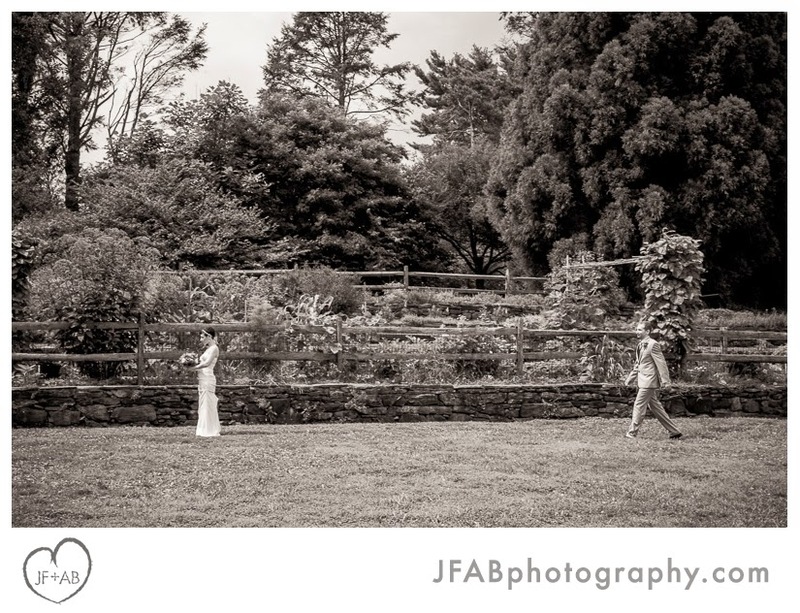 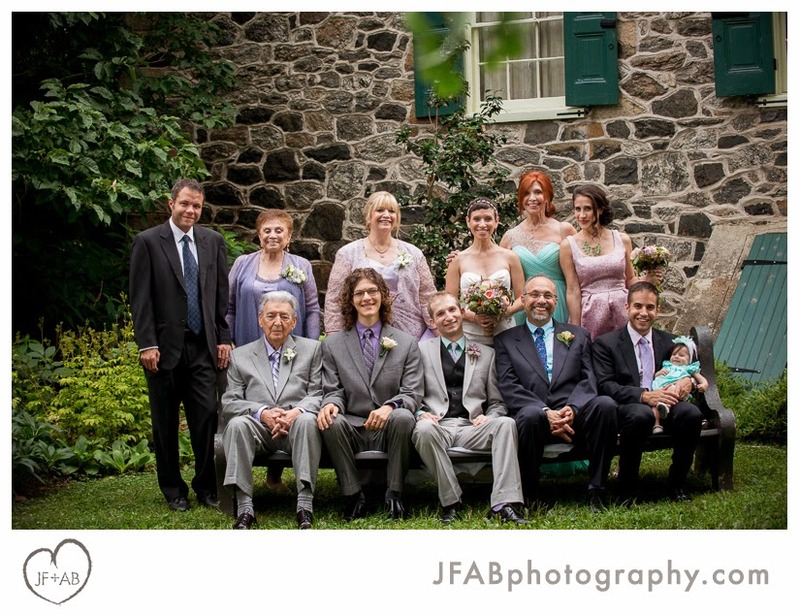 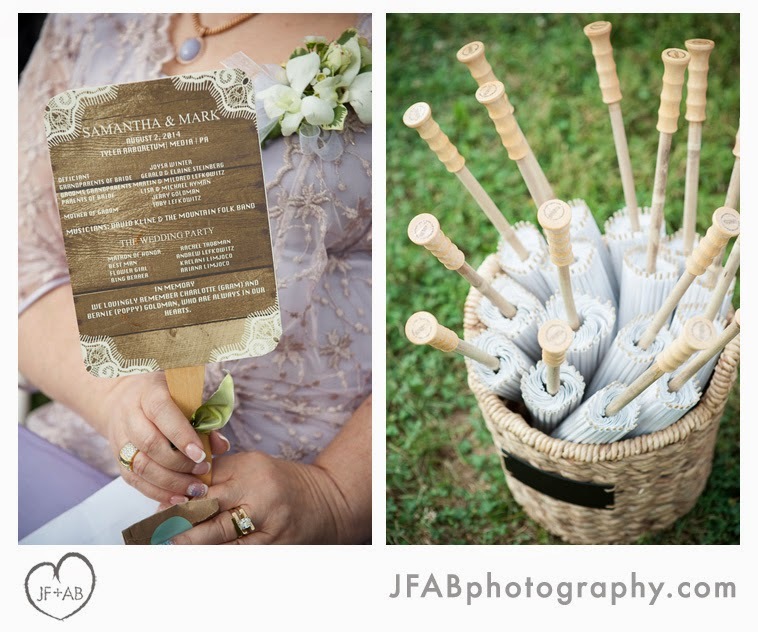 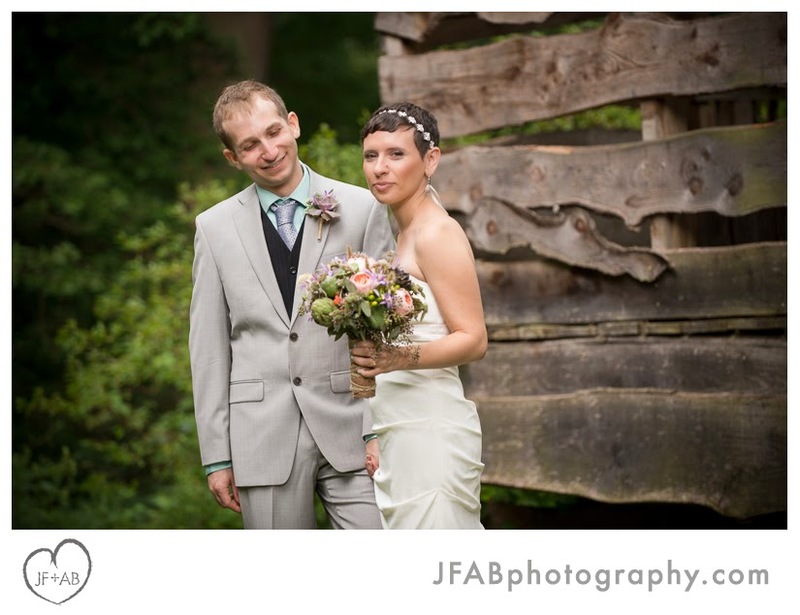 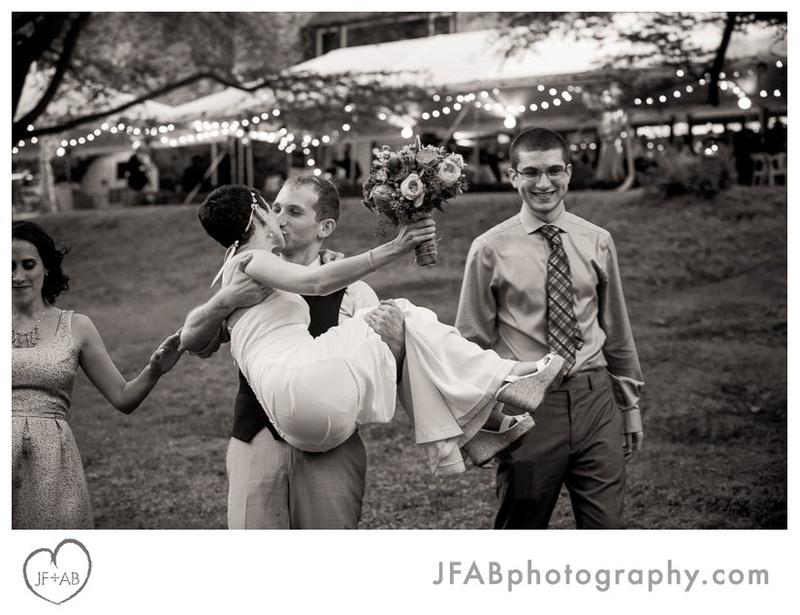 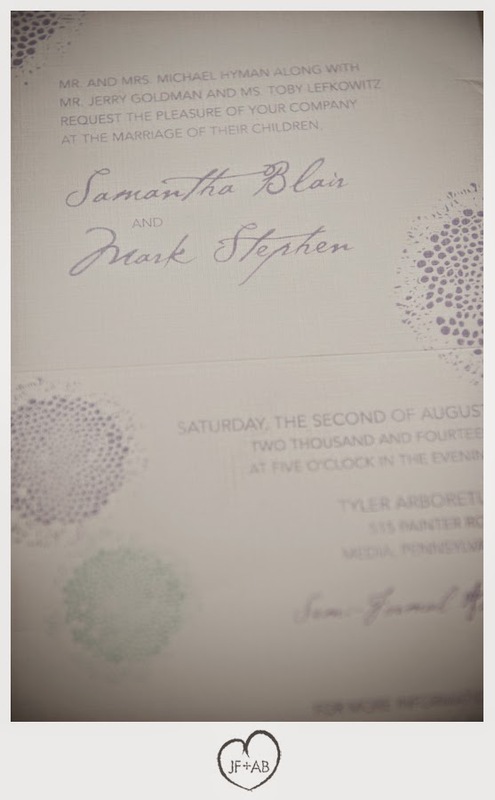 Samantha and Mark had a gorgeous bohemian garden wedding at Tyler Arboretum. 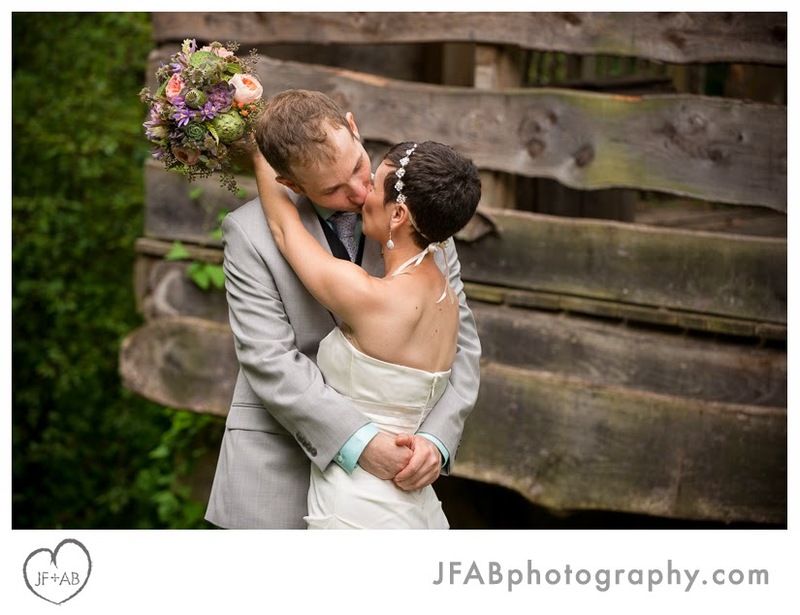 They traveled to Jim Thorpe from Philadelphia one day this spring and we made some amazing engagement photos while getting better acquainted. 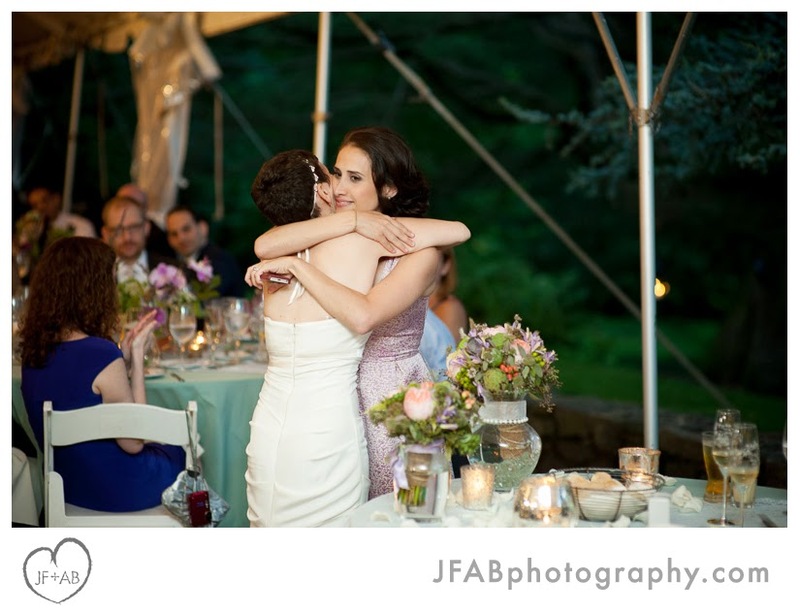 On their wedding day, we were honored to discover that one of the lovely photos from the session served as the background for their ketubah. 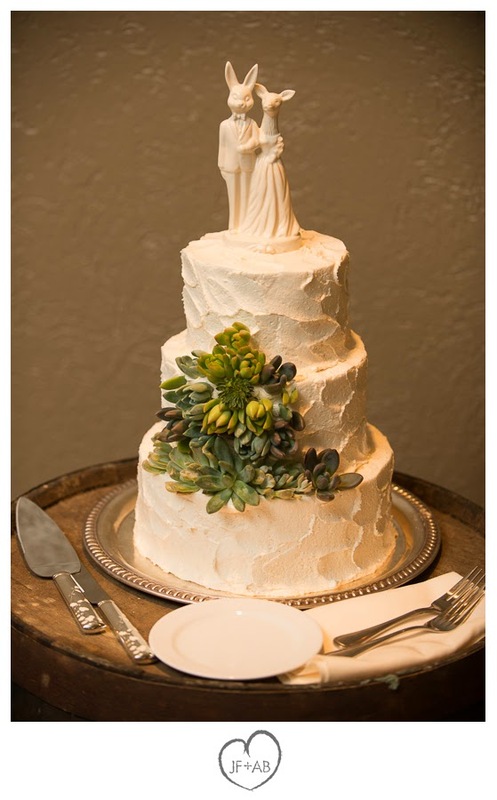 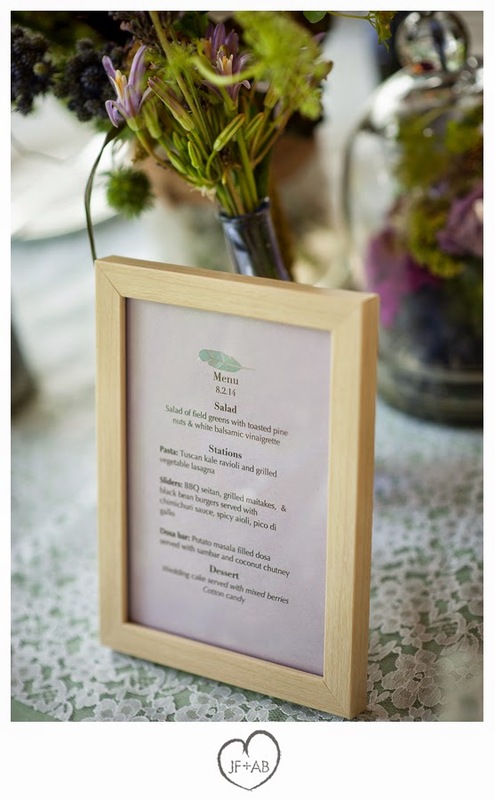 The bride and groom are both vegan and opted to have their wedding day menu be entirely vegan. 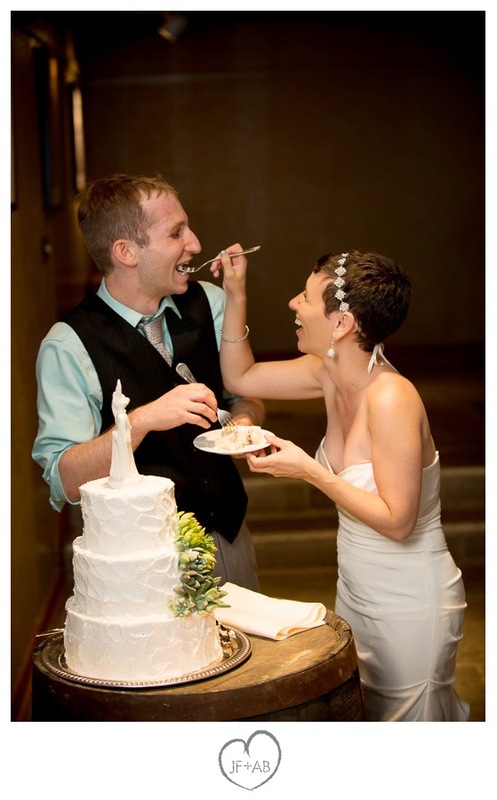 It was a bold move (since many of their guests weren't accustomed to vegan cuisine) but one that kept perfectly in tune with the couple's values. 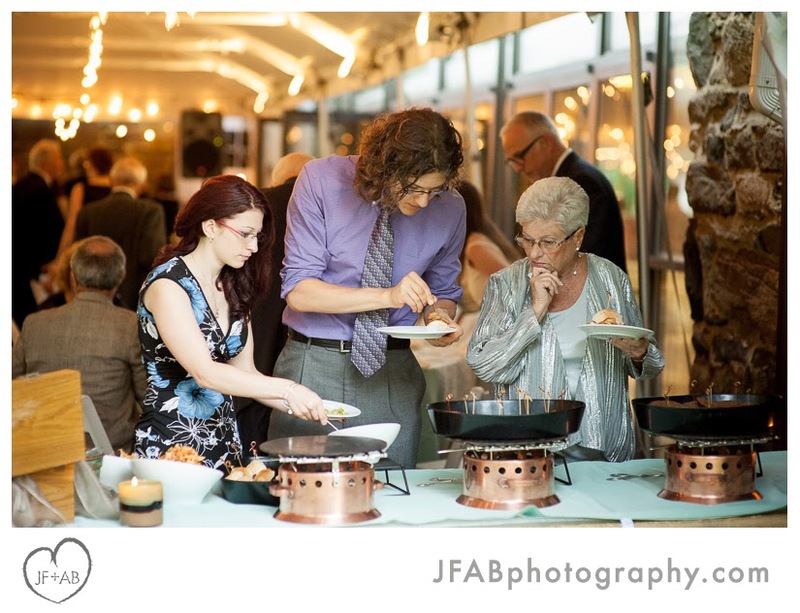 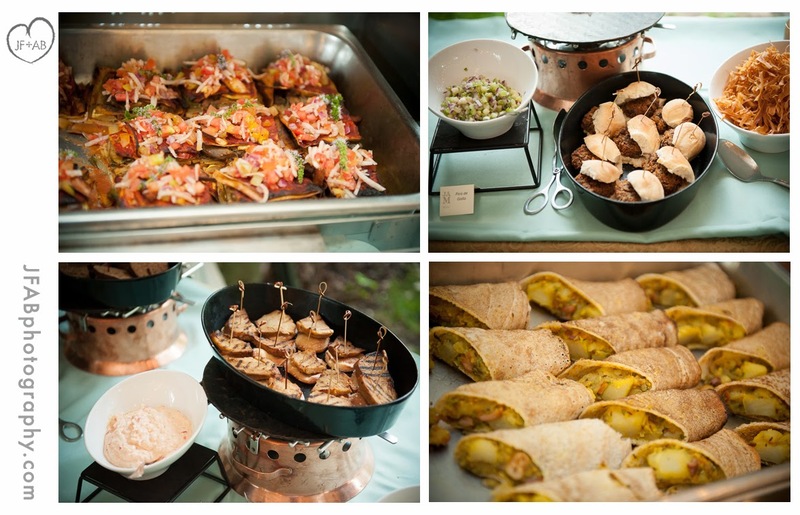 Jeffrey Miller Catering did a great job crafting dishes that were sure to tempt and delight any palate. 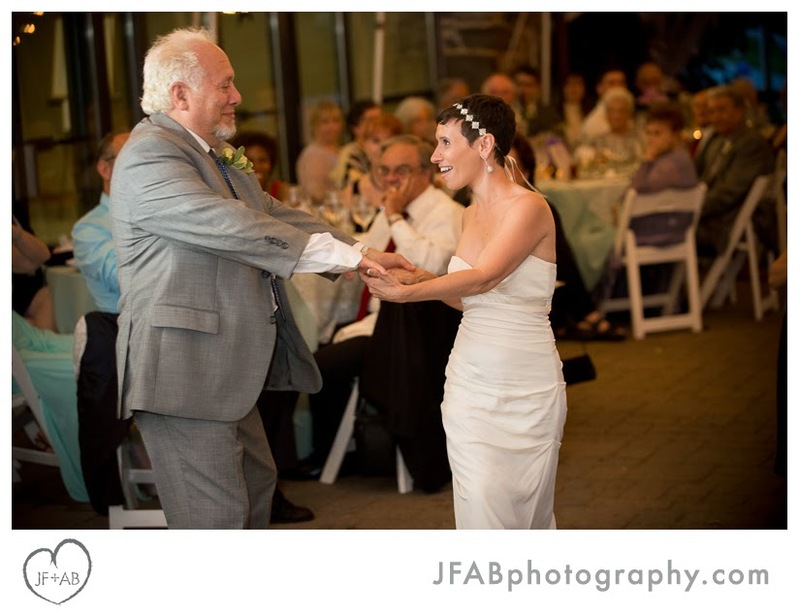 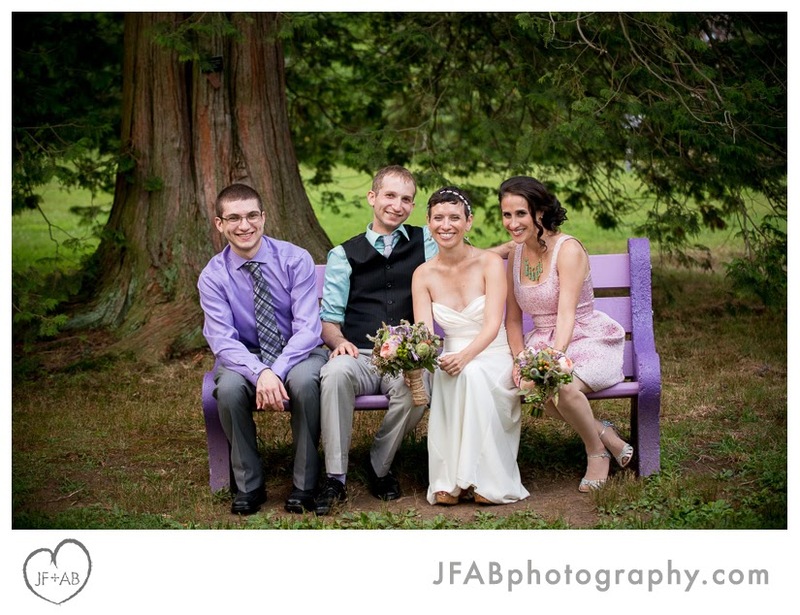 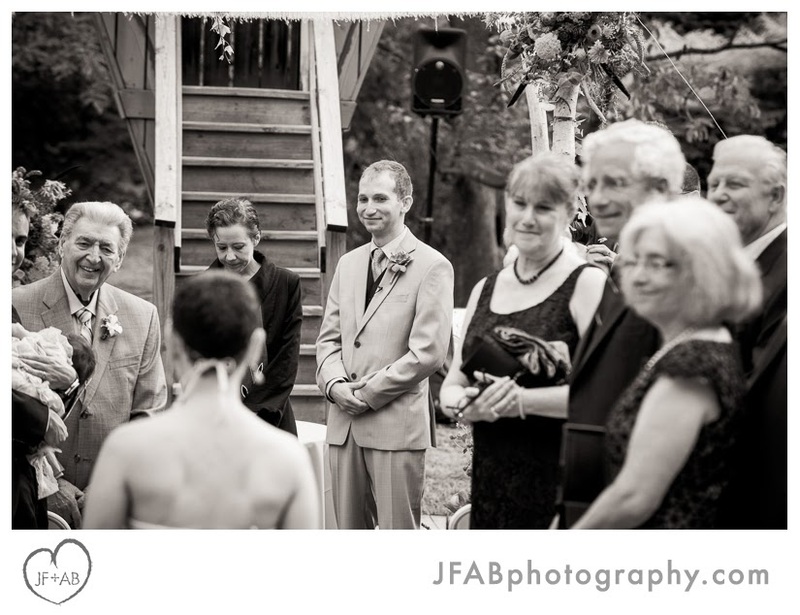 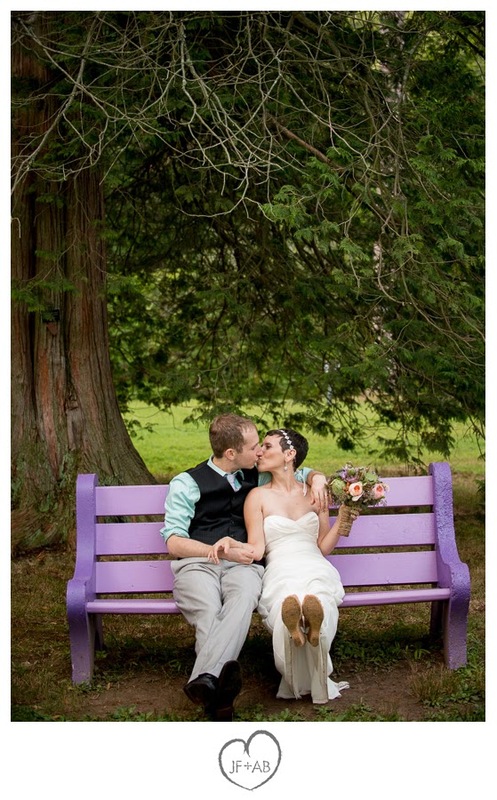 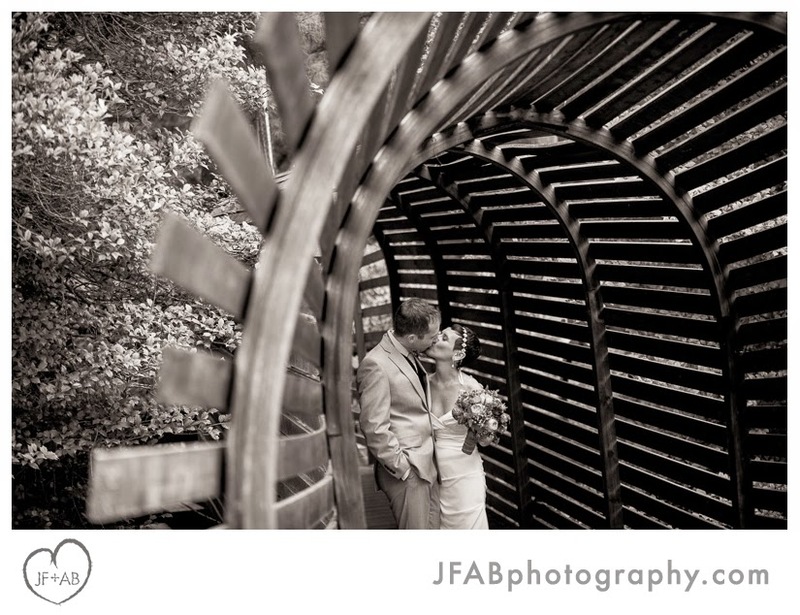 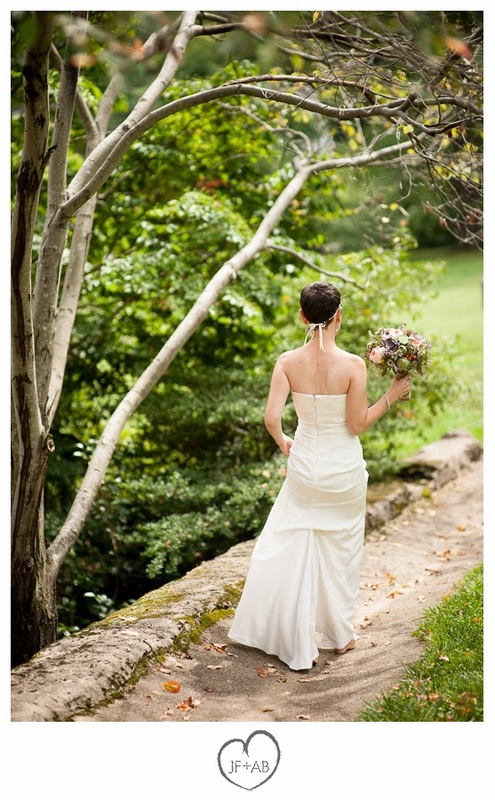 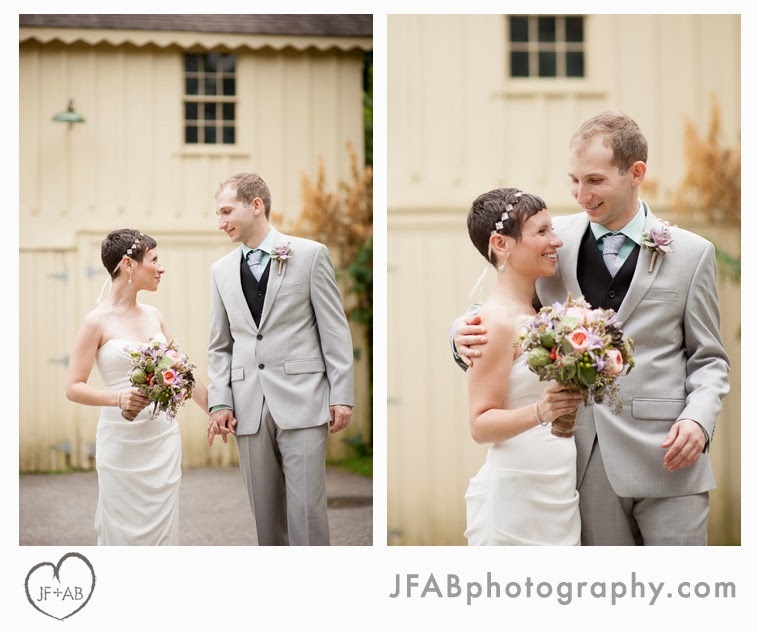 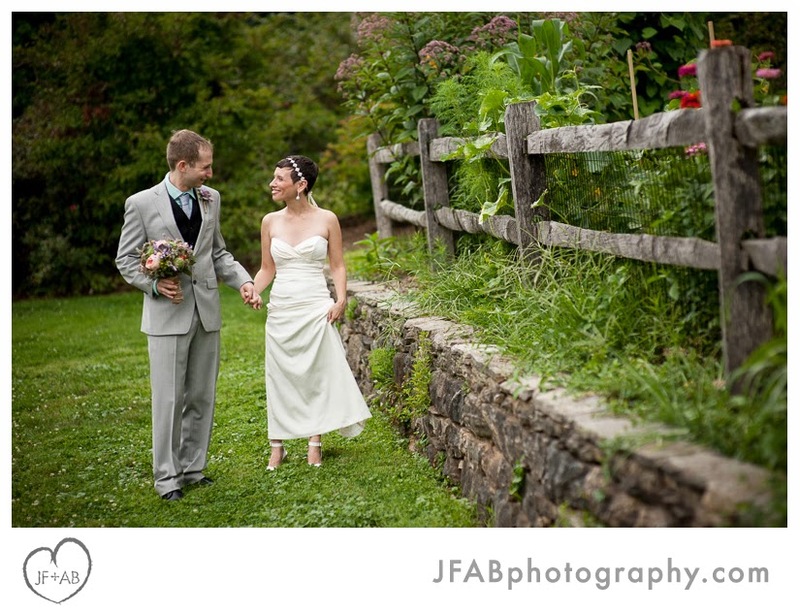 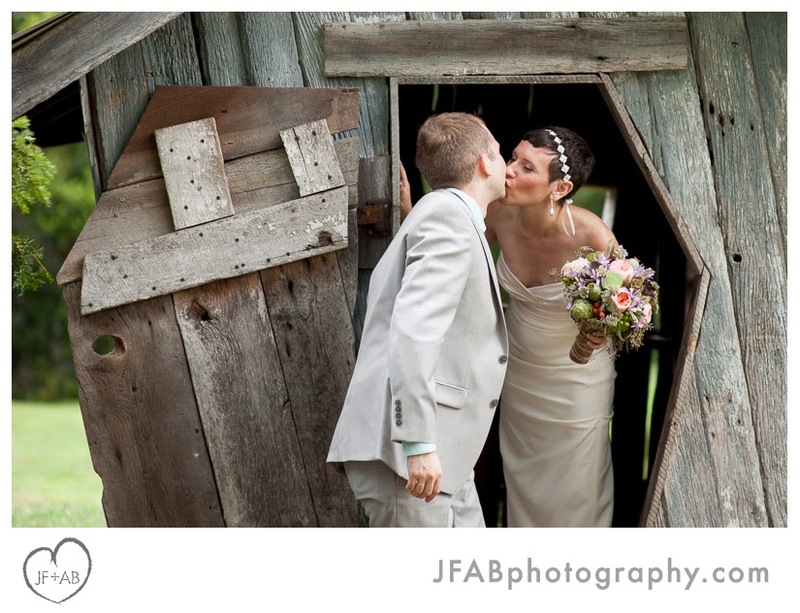 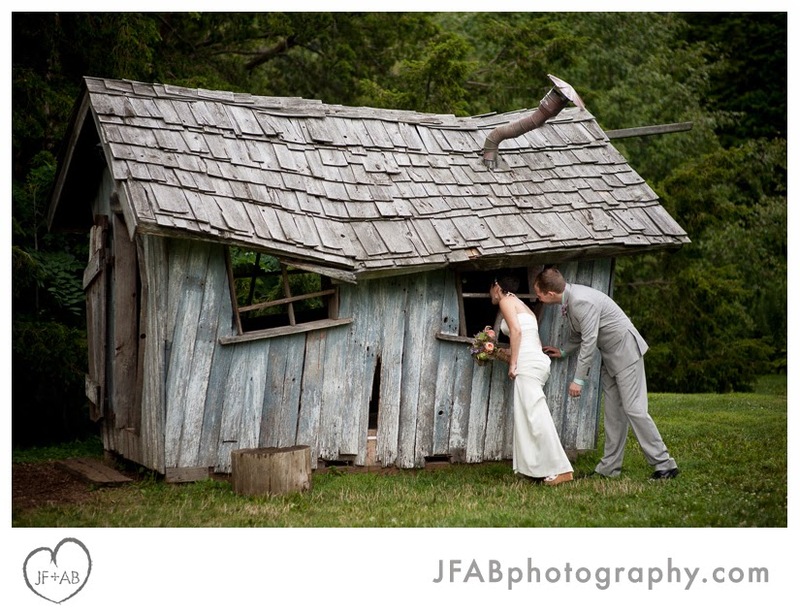 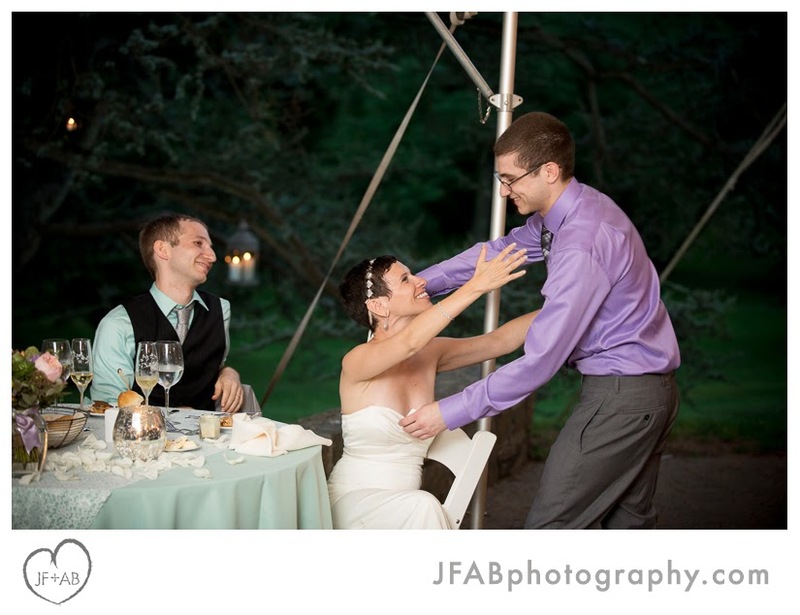 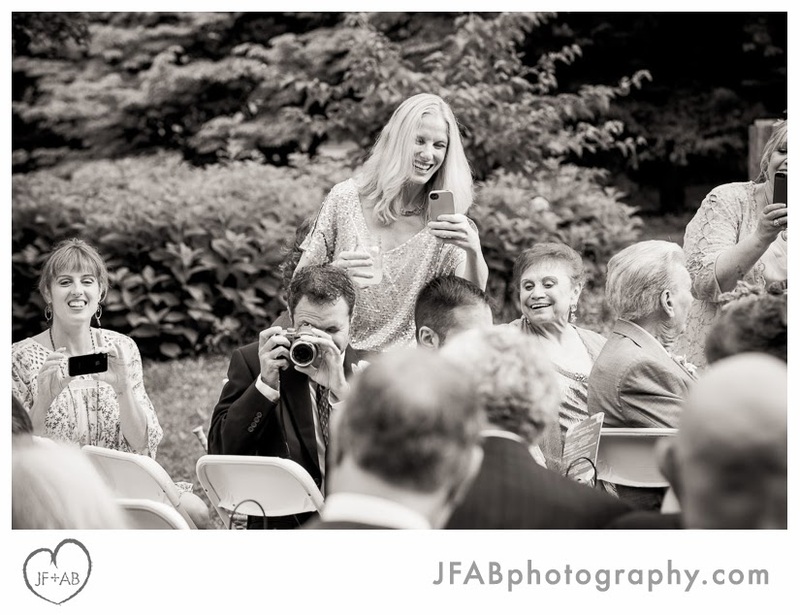 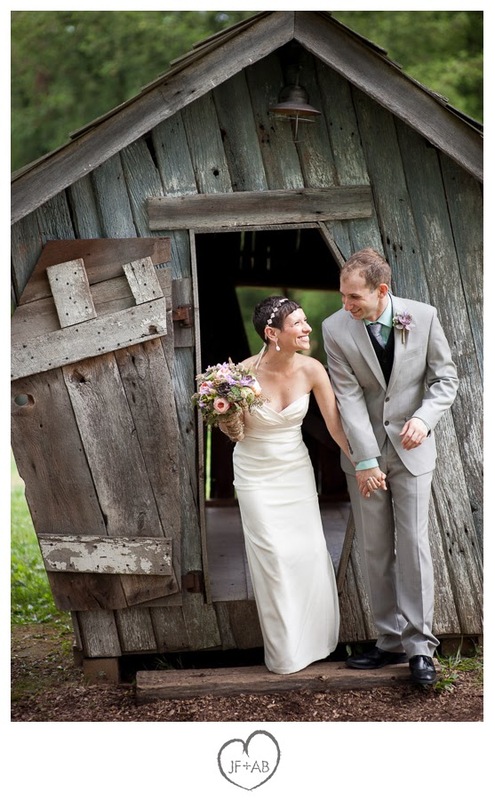 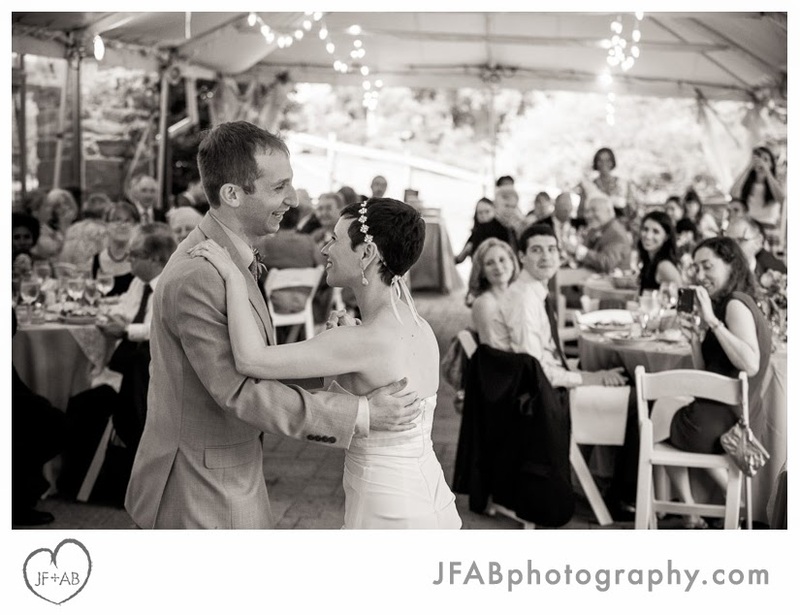 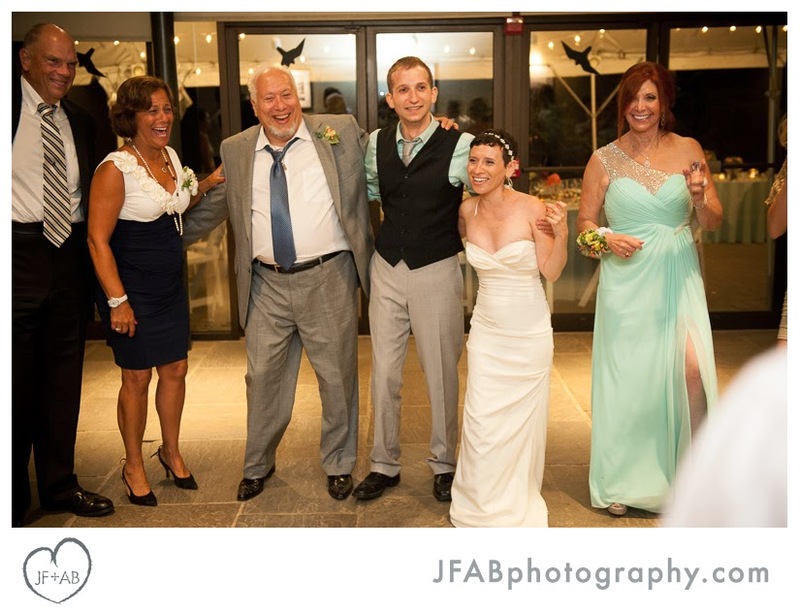 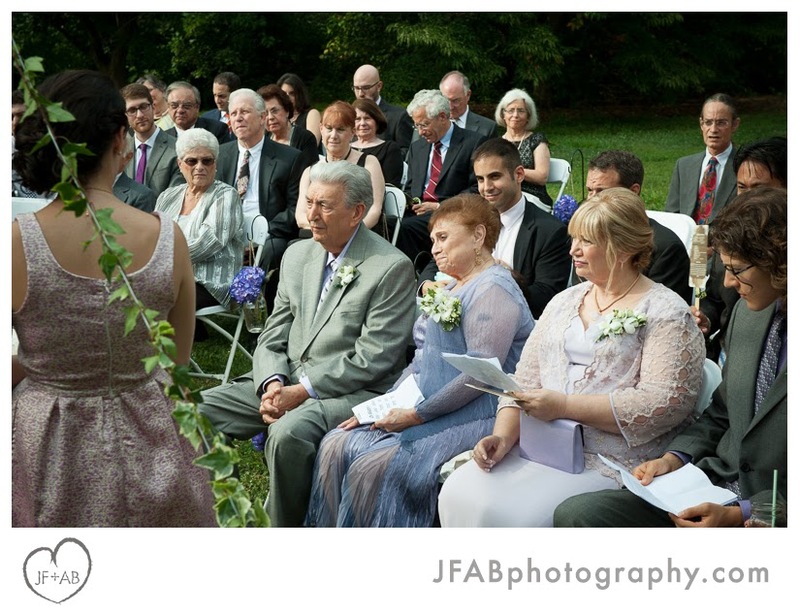 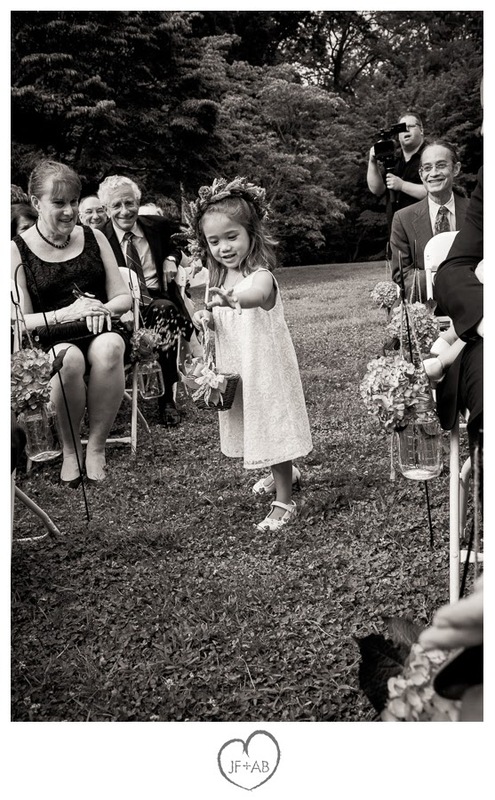 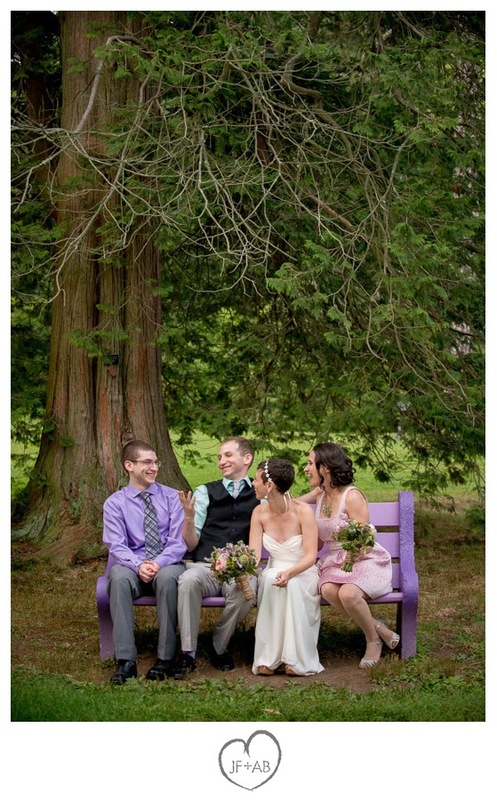 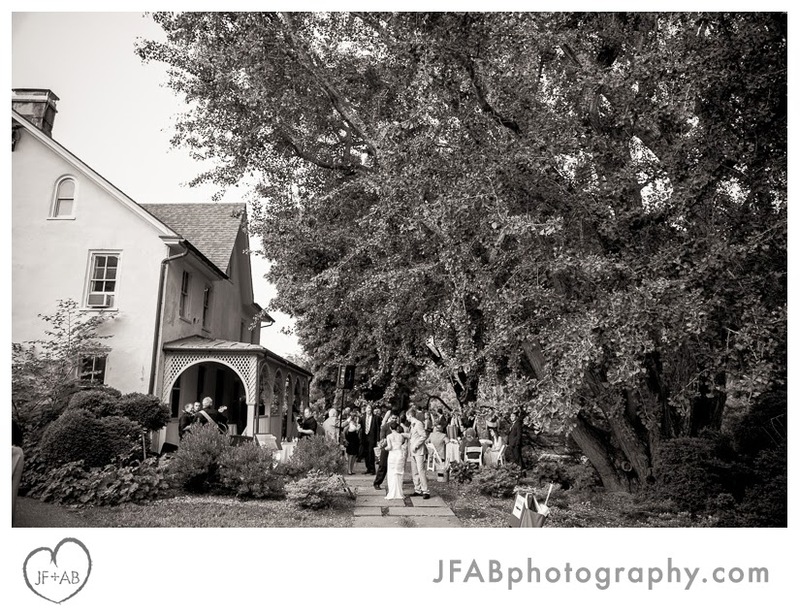 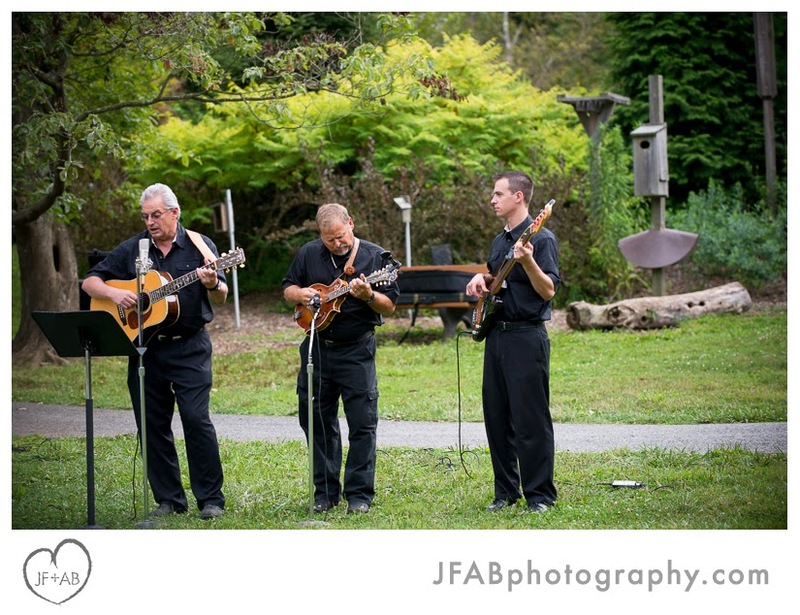 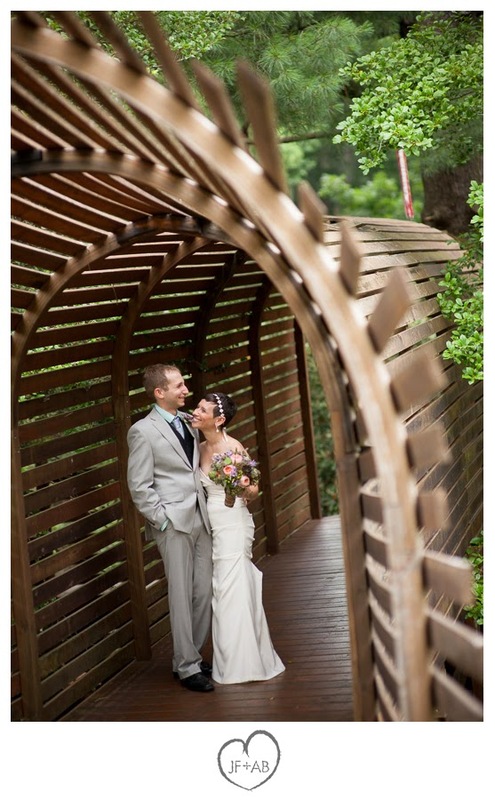 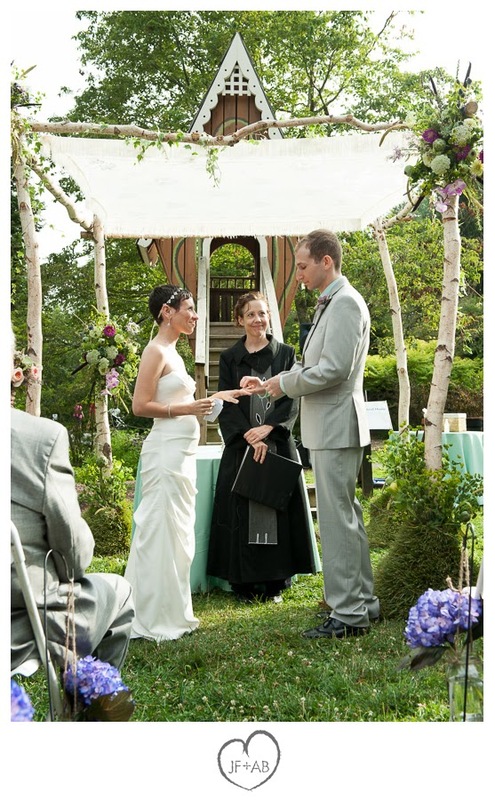 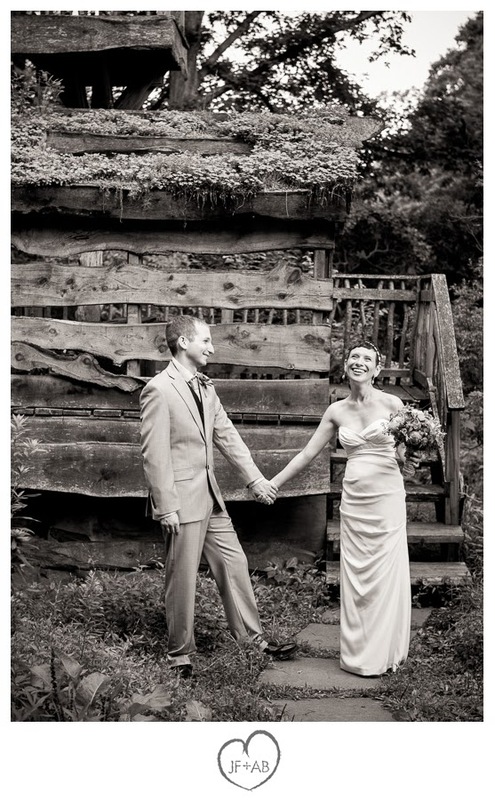 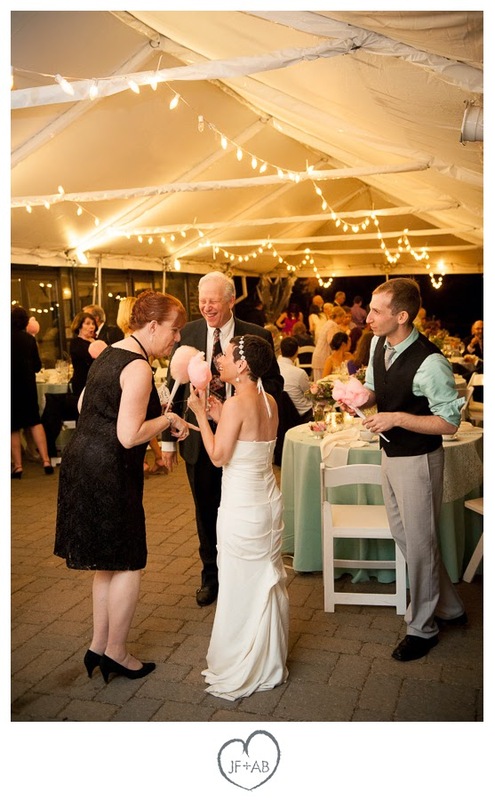 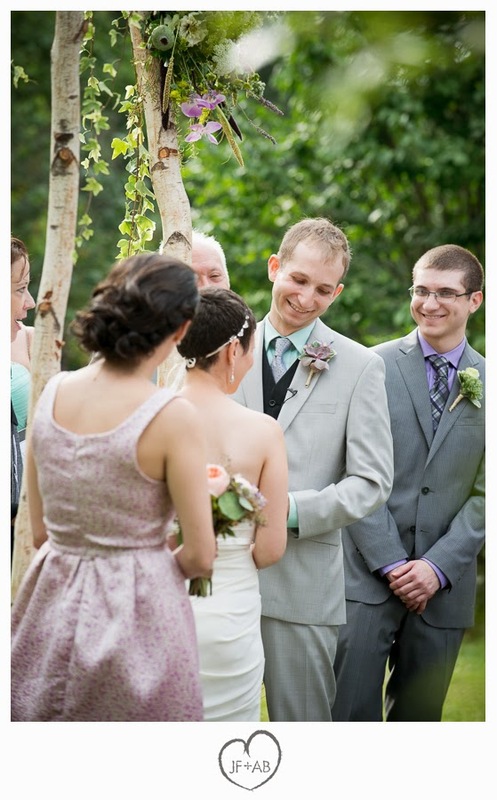 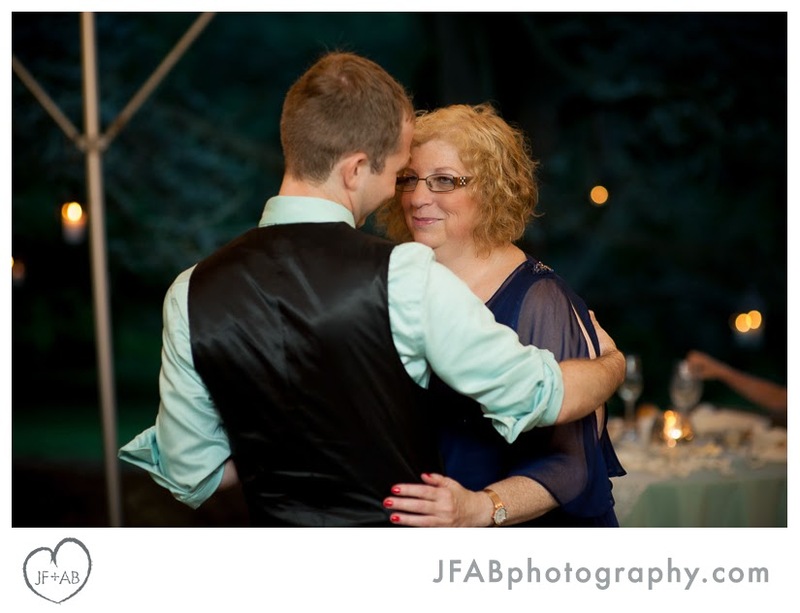 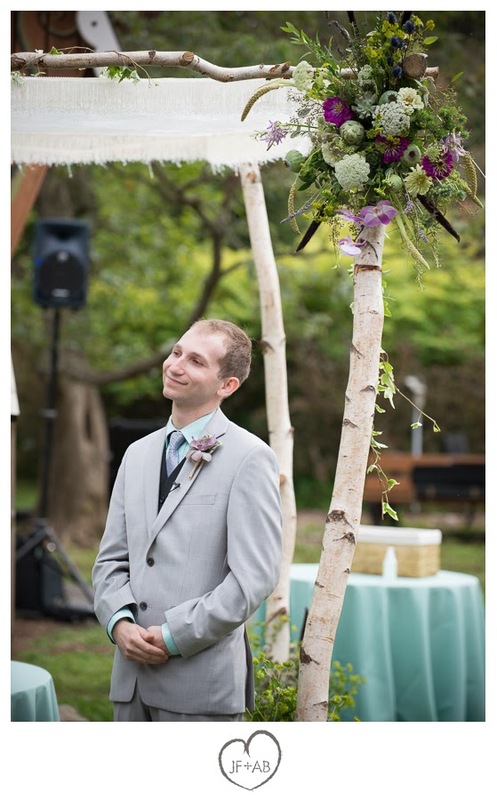 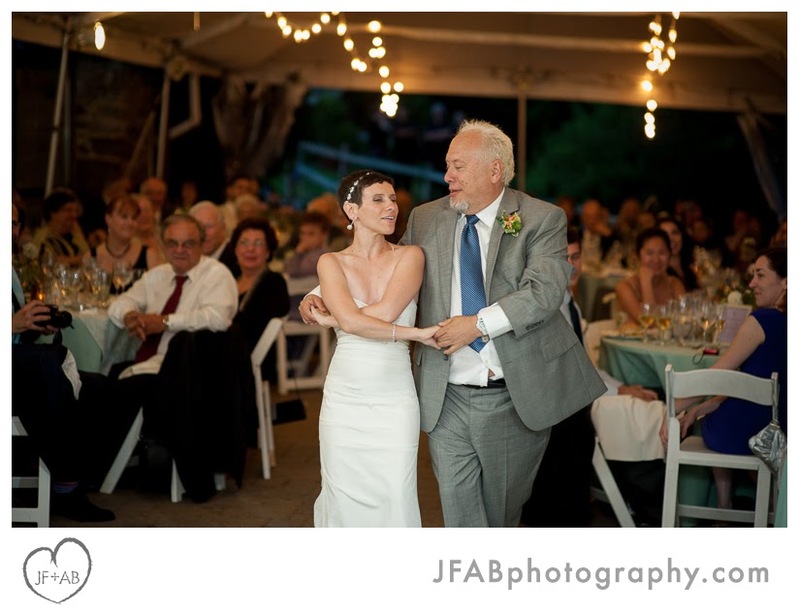 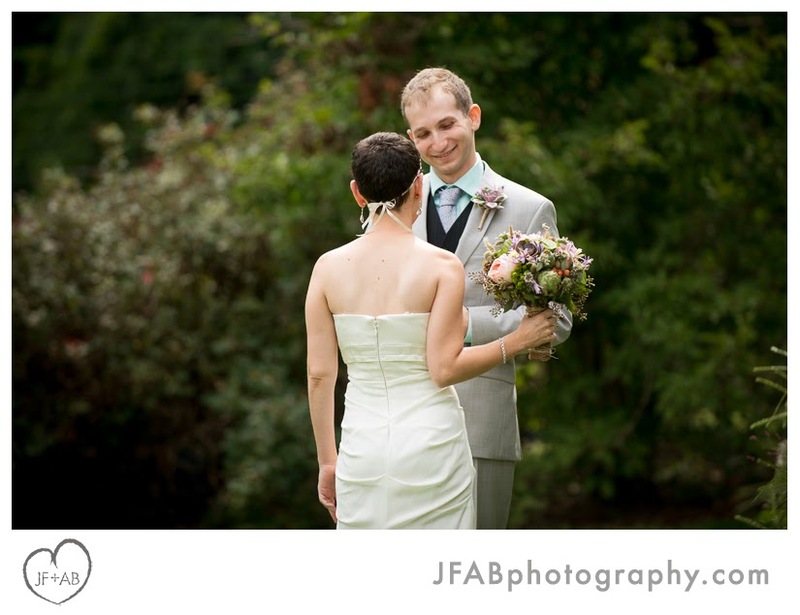 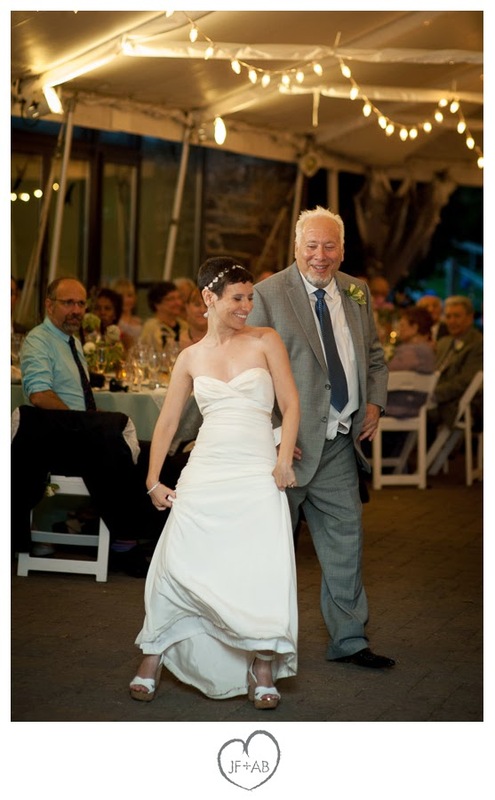 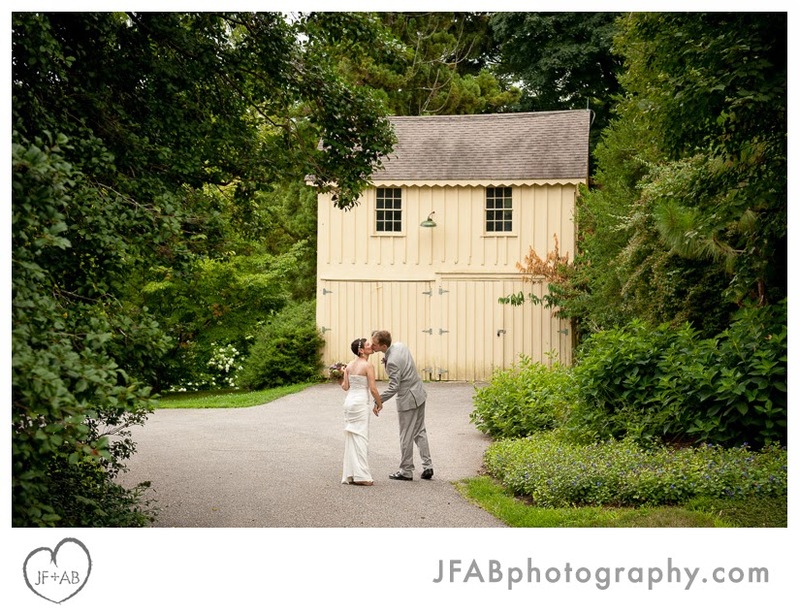 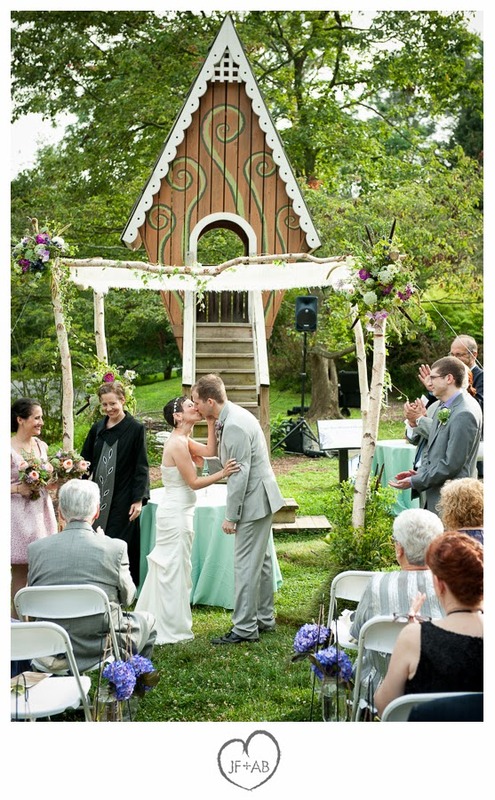 This was our first wedding at Tyler Arboretum to take place in front of one of the tree houses this site is known for. 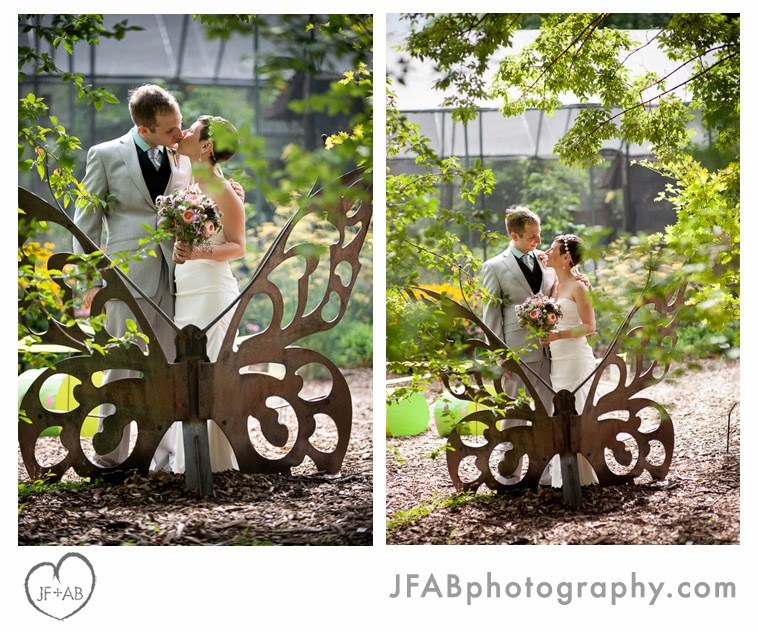 Samantha and Mark let us know up front that they loved the playful structures throughout the grounds and we were sure to incorporate them in their portraits. 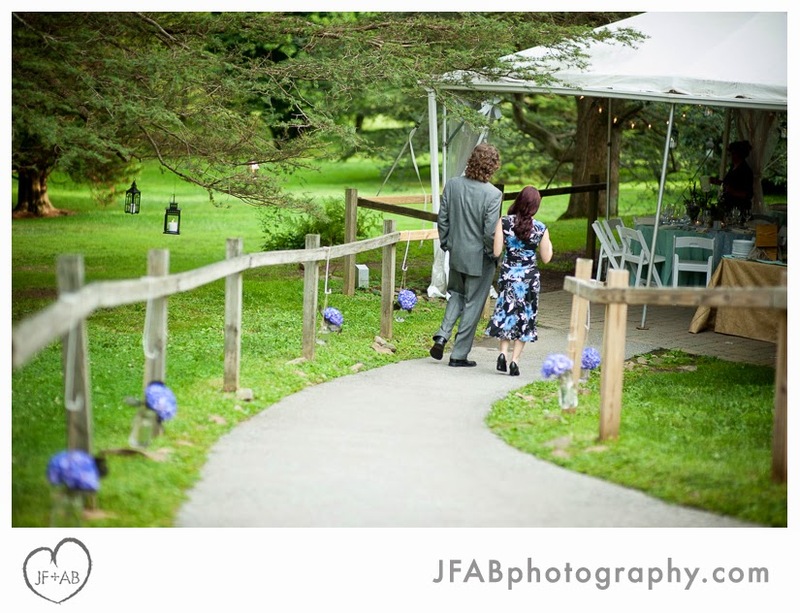 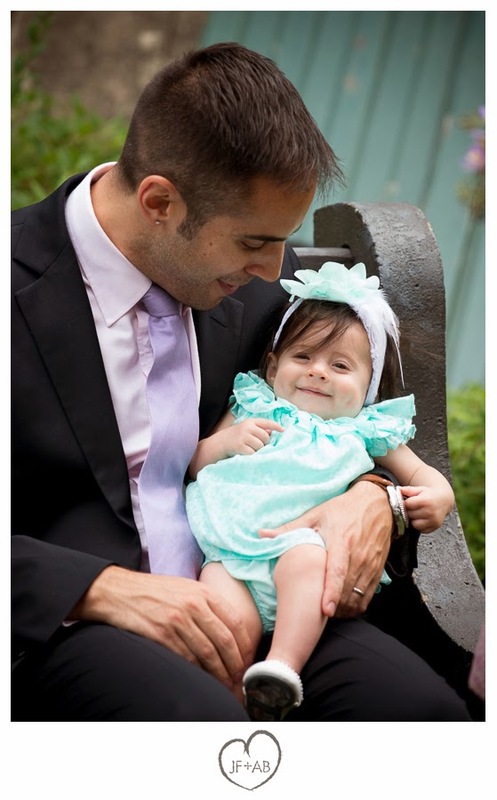 We had a great time strolling around after their first look, checking out all their favorite spots. 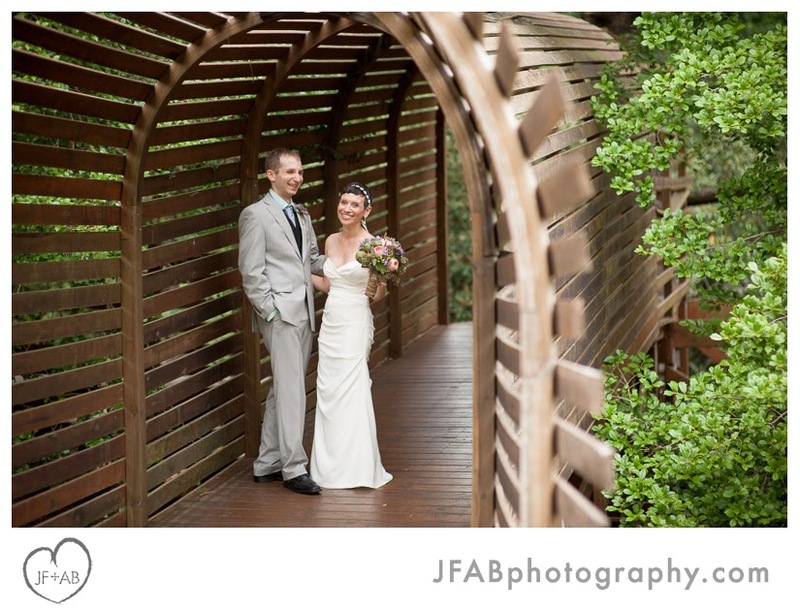 It was a relaxing and fun way to start out the wedding day festivities that followed. 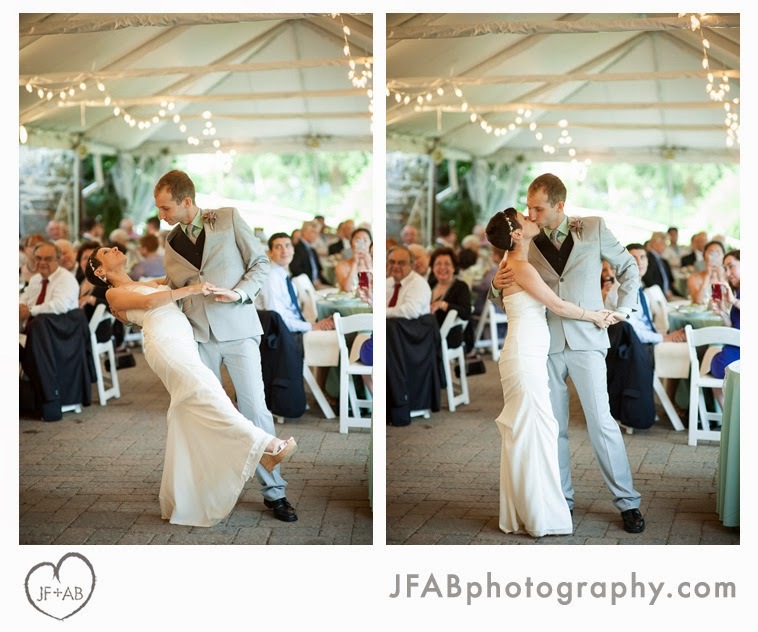 Scroll on to check out some of our favorite moments from the day! 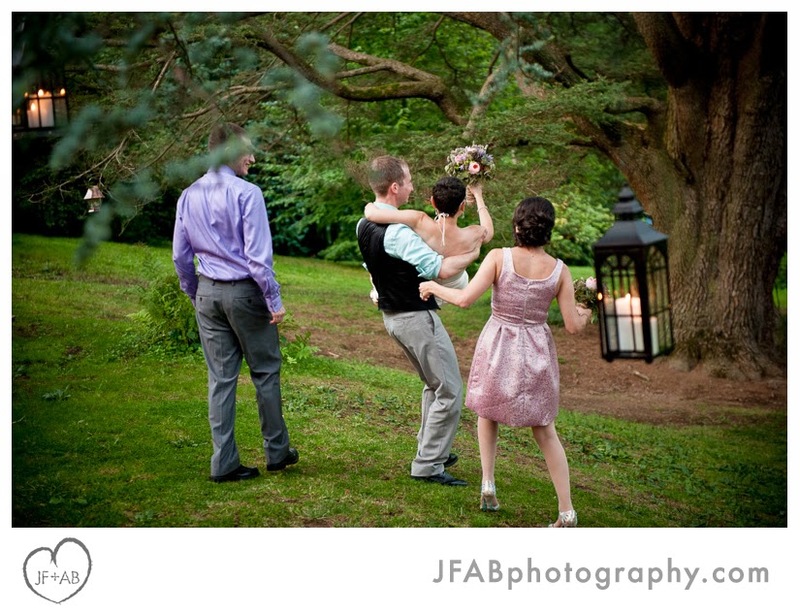 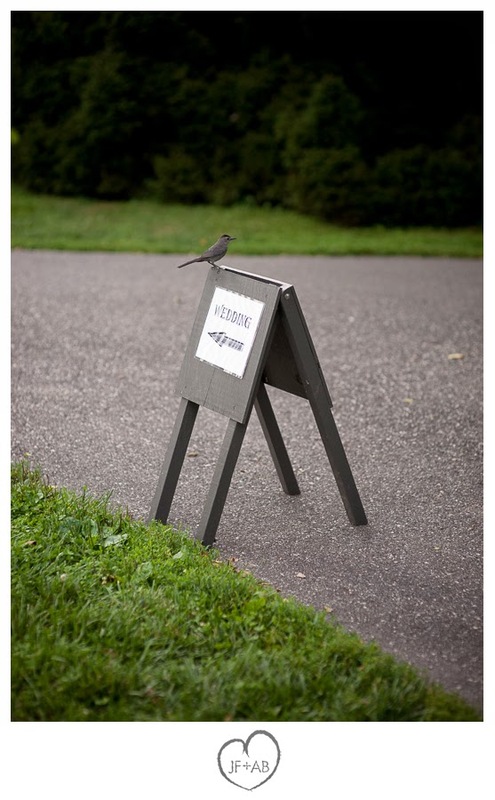 Credits: Wedding and reception at Tyler Arboretum in Media, PA. 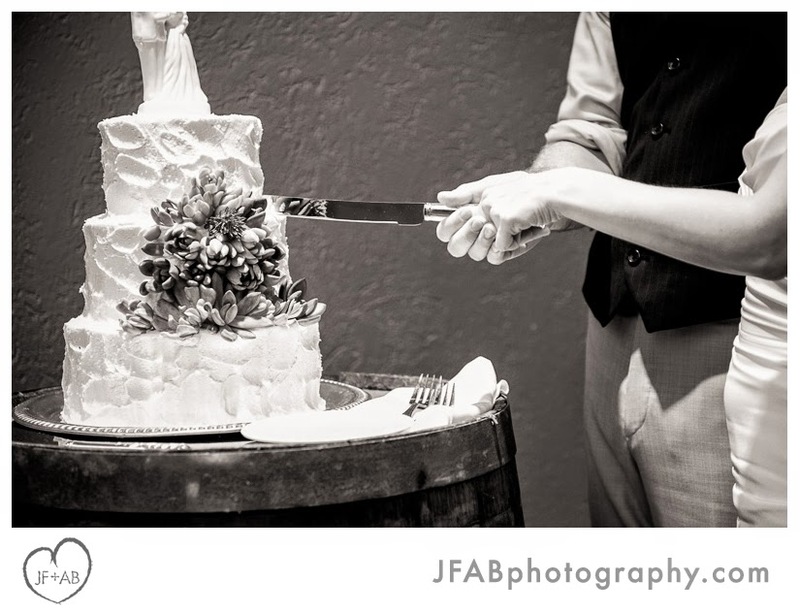 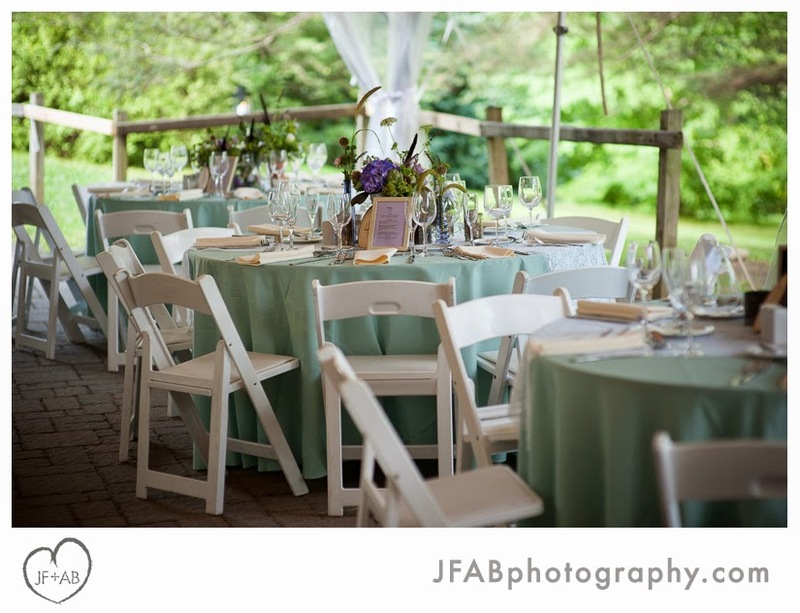 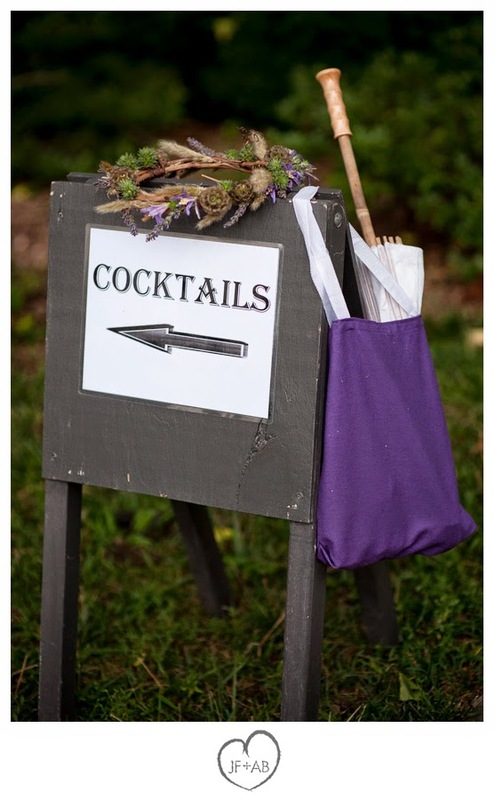 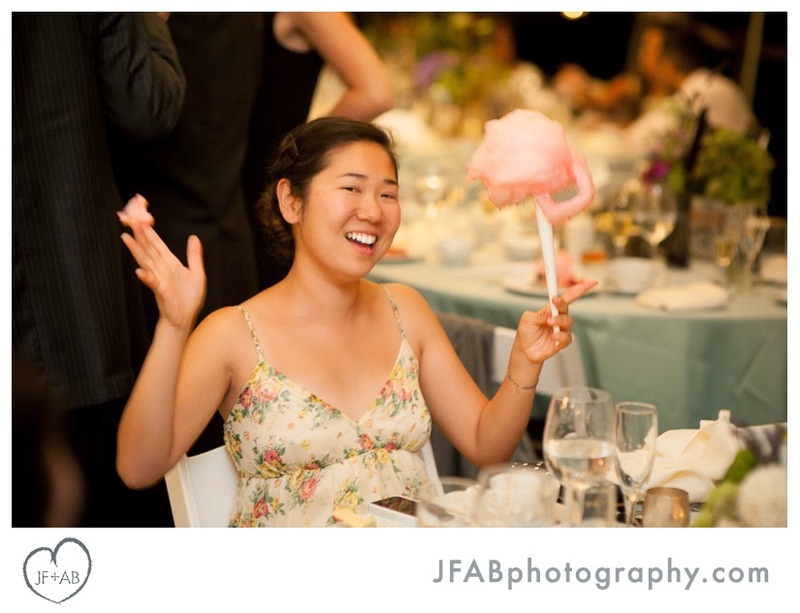 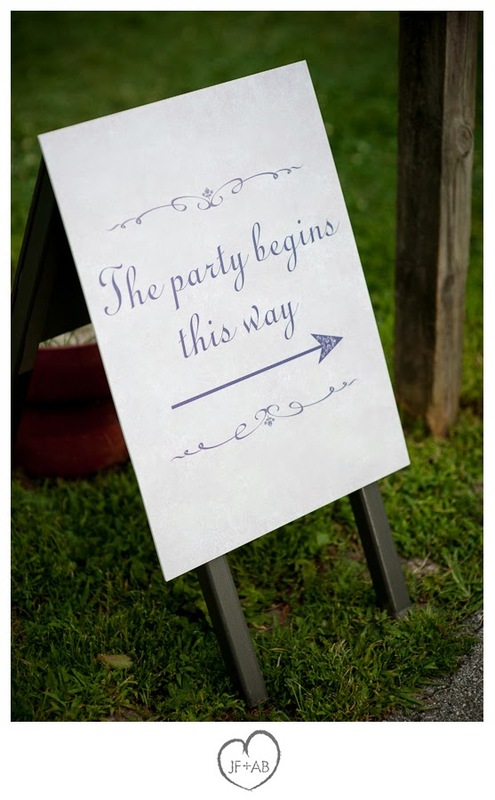 Catering, Cake and Event coordination by Jeffery A. Miller. 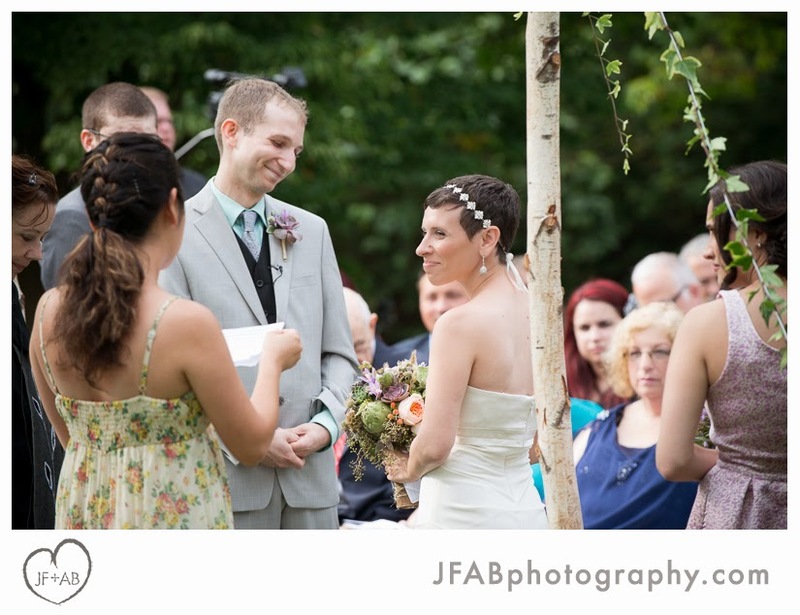 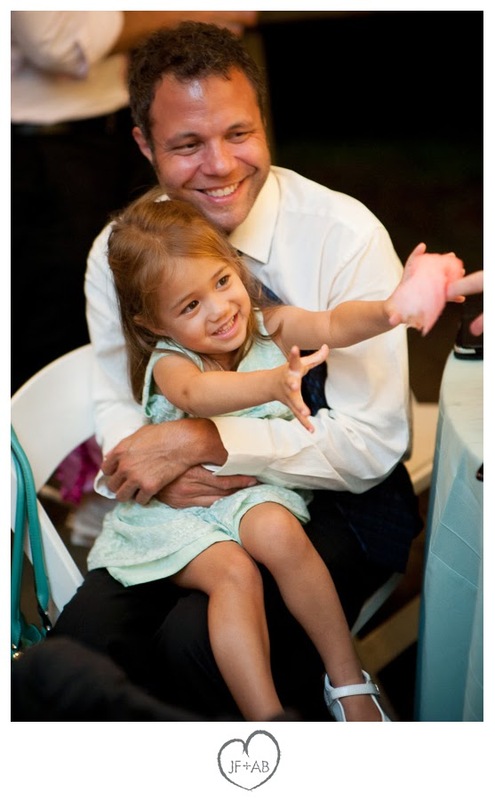 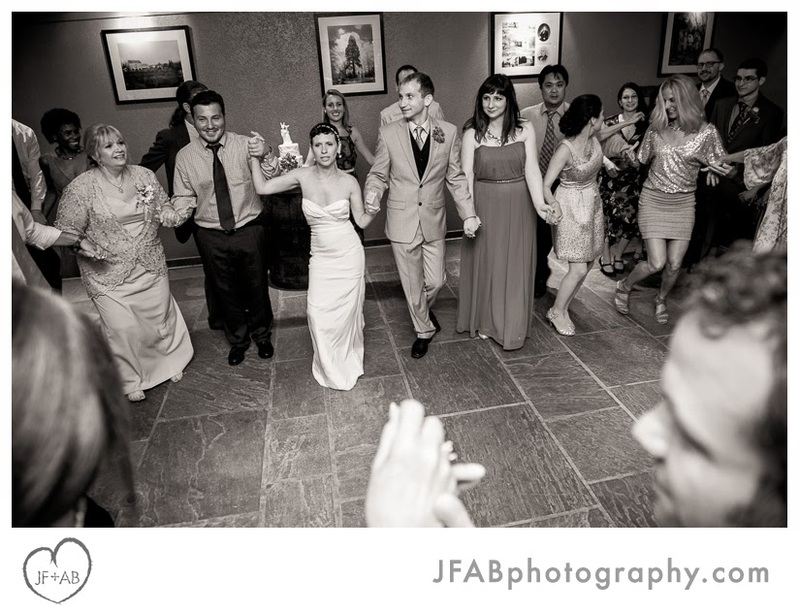 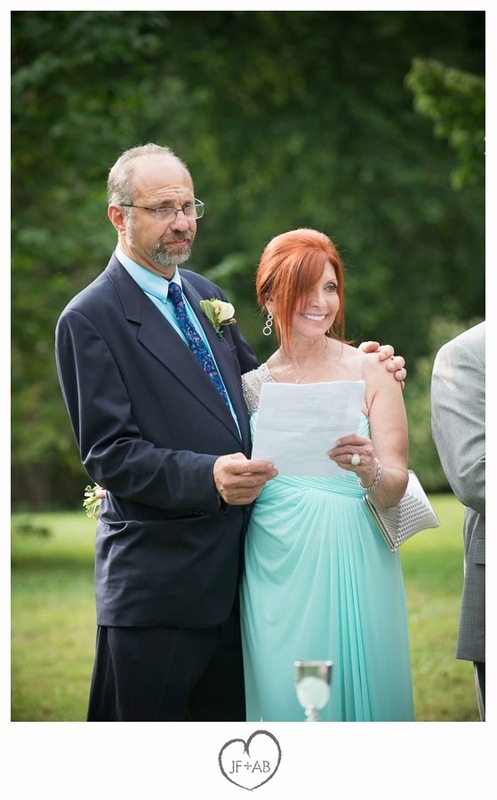 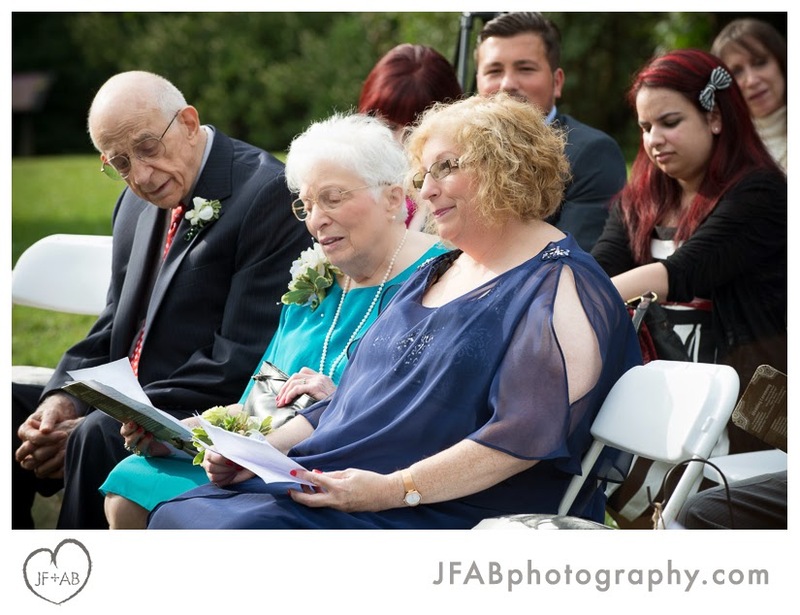 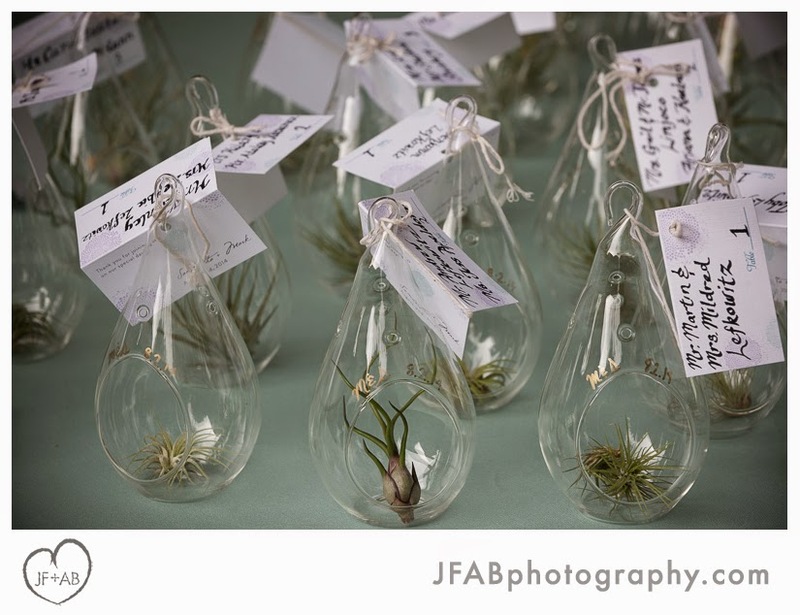 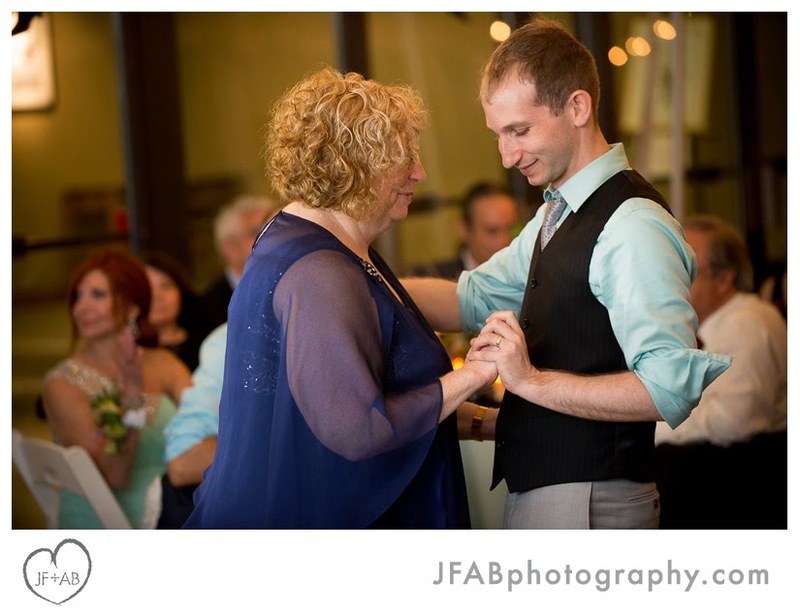 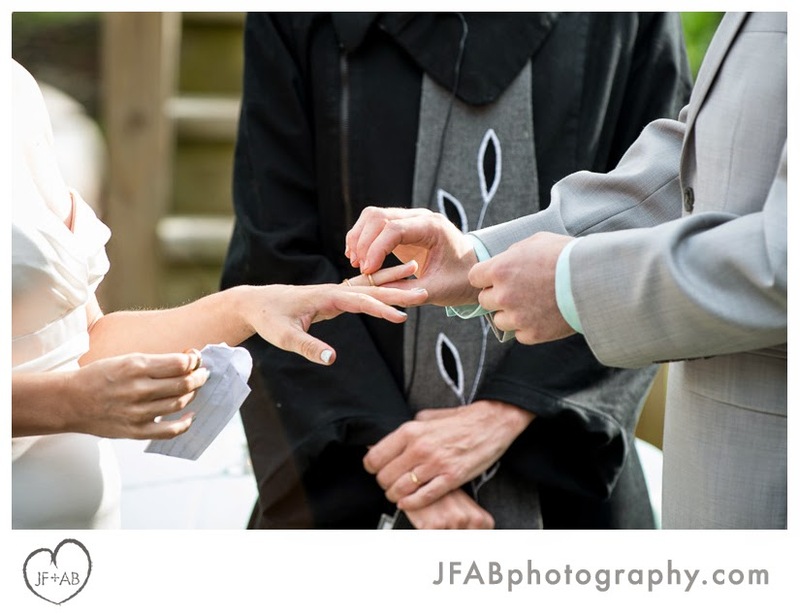 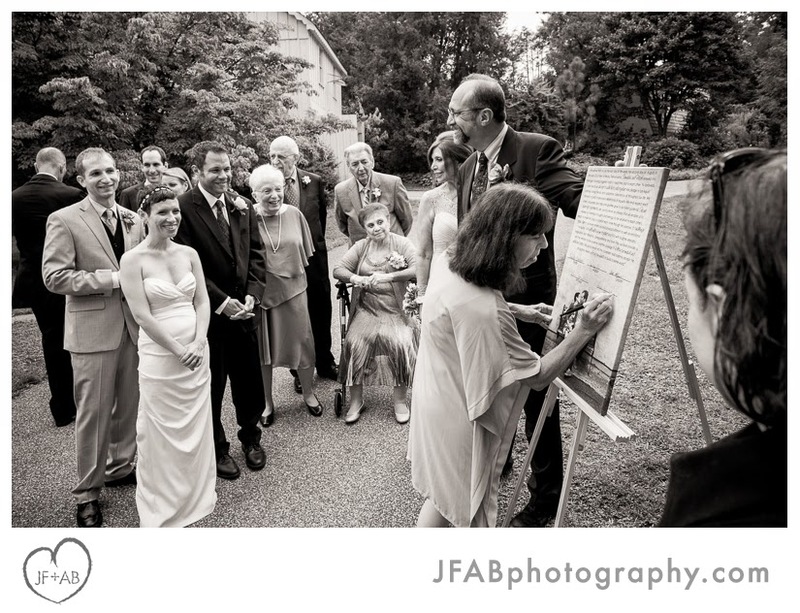 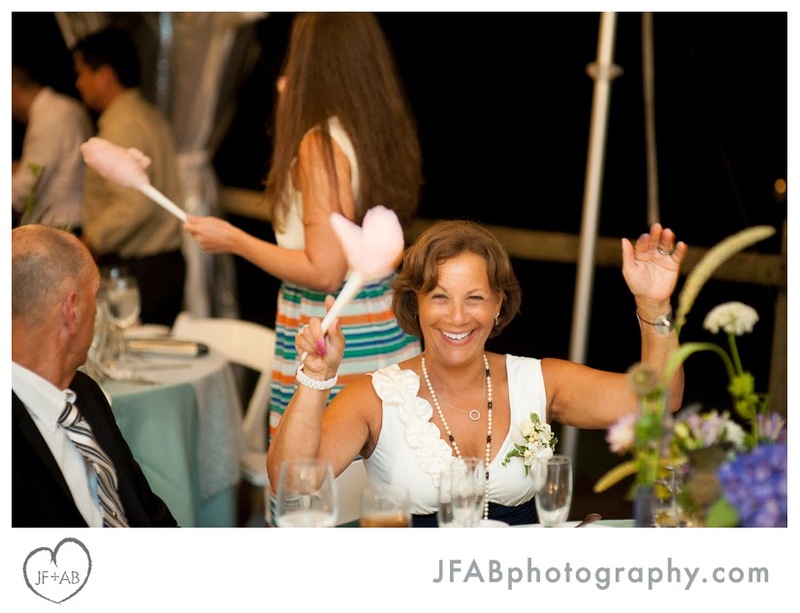 Wedding officiant - Joysa Winter. 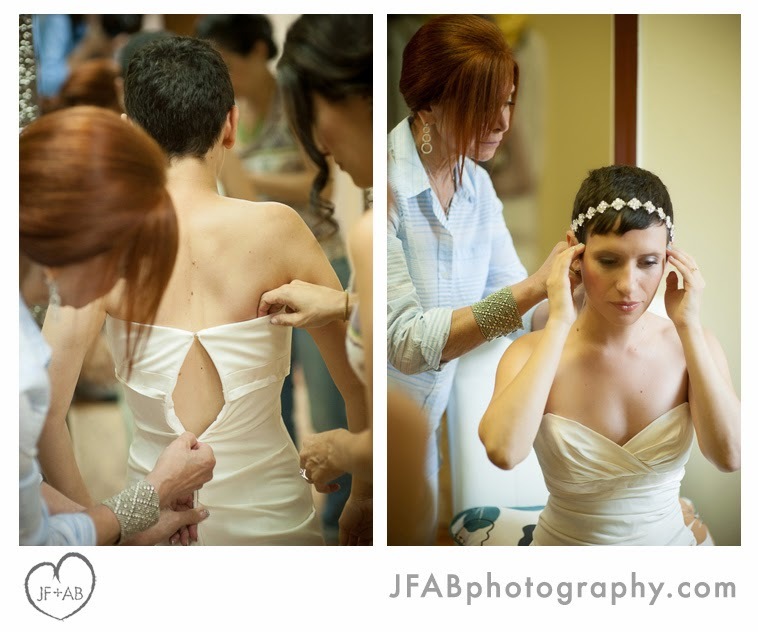 Make up by Bella Angel. 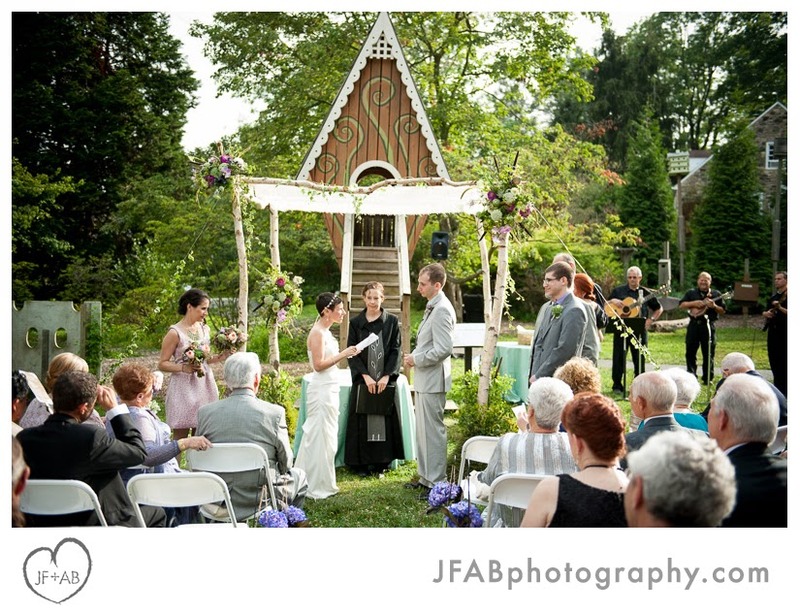 Ceremony and cocktail hour music by David Kline and Mountain Folk. 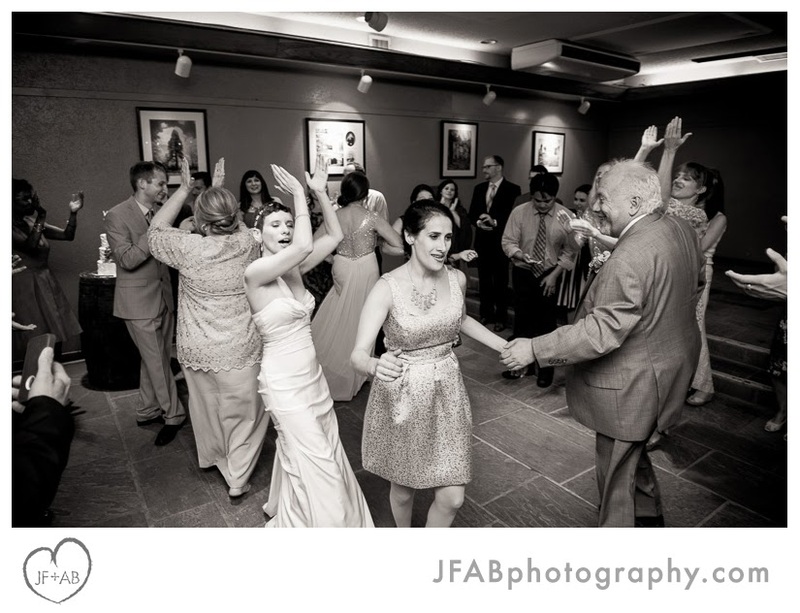 Reception entertainment by No Macarena. 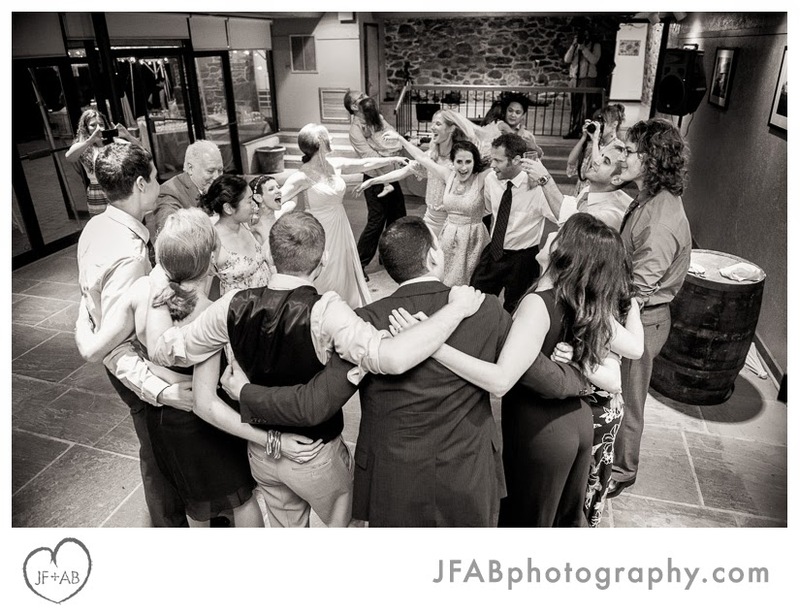 Videography by George Street. 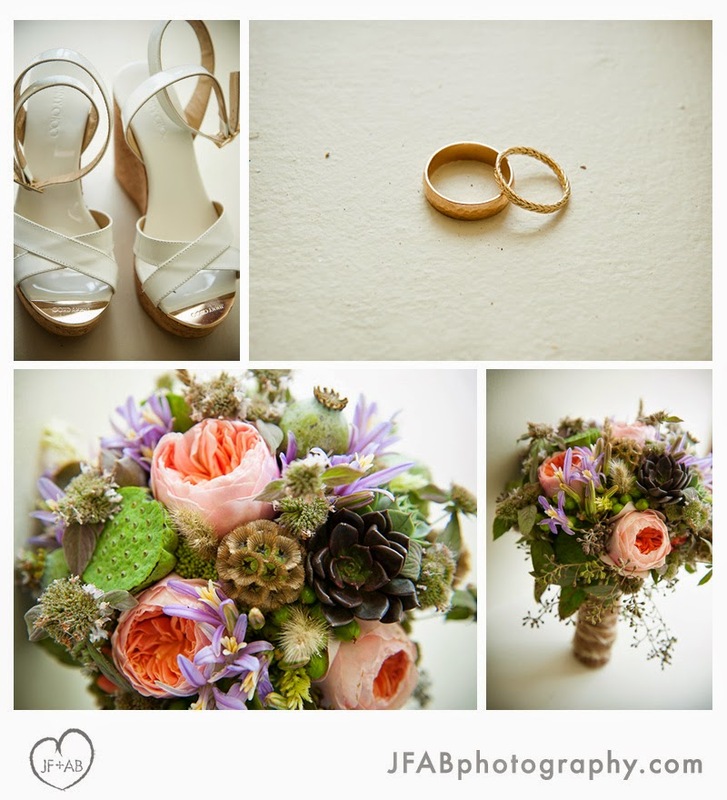 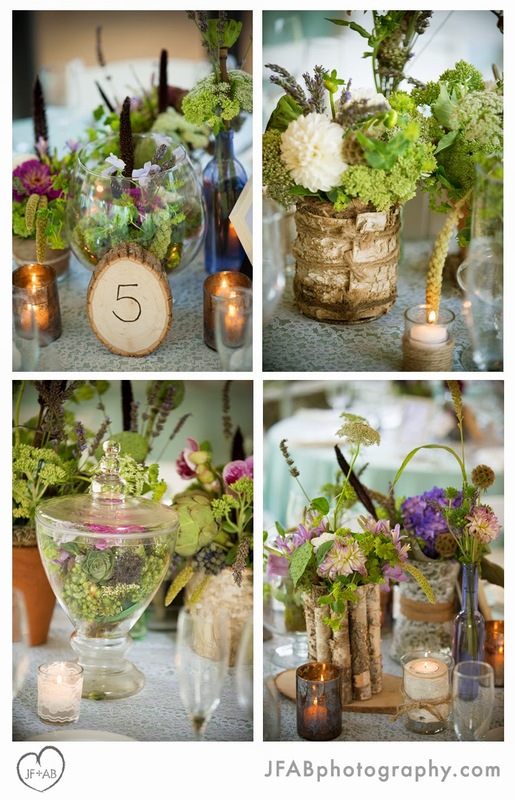 Wedding florals by Buttercup.